COMPOSITE DECK - GOLF CART NEGOTIABE! SEE A VIDEO ABOUT THIS HOME!!! Community Amenities / Facilities: Amazing CAL-AM Community just N. of the US Hwy 60 and Ellsworth Rd. Swimming Pool, Lap Pool and 2 Spas, Big Name Concerts, 8 Lighted Bocce Ball Courts, 6 Lighted Pickleball Courts, 16 Lighted Shuffleboard Courts, 6 Lighted Tennis Courts, Softball Field, Horseshoe Pits, Lighted Ladder Golf Area, Putting Green, Fitness Center, Personal Trainers, Water Aerobics, Zumba, Salon, Massage Therapy, Patio Grill & Poolside Tiki Bar, Happy Hours with Live Music 5 Nights/week, Saturday Night Dances, Friday Night Fish Fry with Live Music & Dancing, Dog Agility Parks, Billiards Room with 16 Pool Tables, 1,500 sq ft State of the Art Woodshop, Card Room, Pottery Studio, Stained Glass Studio, Ceramics Studio, Arts & Crafts Room, China Painting, Quilting & Sewing Room, Leathershop, Large Model Train Area, Model Airplane Room, Radio Control (RC) Cars, Country Store, Computer Lab (PC & MAC Teaching Labs), Internet Café, Large Ballroom, Dance Classes and Too Much More to List! UPGRADES AND OPTIONS: All Electric with Updated Central AC/Heat Unit (2013), Upgraded Ceiling Fans w/Lights, NEW Exterior Paint (2018), NEW Sunscreens, Front Patio Pull-Down Sun Shades, Large Matching/Connected Tape & Textured Utility/Laundry Room w/Built-in Shelving and Folding Table, 25' Composite Deck w/Redwood Railing, Epoxy Coated Driveway w/ Side Blocked Walk-Way and Extended Front Upright (Easier parking) Plus a Large Rear Blocked Sun Patio. FEATURES/BENEFITS: Huge 13' LR/DR offered by this Popular Alley-Galley Kitchen Floor-Plan w/Convenient Center Kitchen Stocked with Everything you Need to Move-in. Fully Furnished AS-Seen w/Sofa Sleeper, Easy Chair, Queen Size Lift and Storage Bed, Dinette, Stow-Away Office Center, Flat Screen, Linens, Dishes and Too Much More to List. Ample Storage Throughout Including Built-in Pantry Closet, Toiletry & Medicine Cabinets Plus (12) Drawer Built-in Chest, Overhead Cabinets, and Sliding Mirrored Wardrobe w/Base Drawers in Bedroom. OTHER: Sleek Front Elevation w/Hardboard Siding (Matching Skirting), Tinted Windows, Front Window Awning, Flag and Flag Pole, Exterior Antenna Connection, & Exterior Hose Bib. Pet Friendly Section of Community, Close to Community Center and Ready for Immediate Possession! SEE A VIDEO ABOUT THIS HOME !!! Community Amenities / Facilities: Beauty Salon & Barber Shop, Cactus Ranch House Grill, Card Room, Ceramics, Computer Center w/ High-Speed Internet & Hot Spots, Country Stores, Dinner Dances, Plays and Comedy Club, Karaoke, Bingo, Indoor and Outdoor Pools, Horseshoes, Jewelry Making, Lapidary, Laundry Facilities, Library, On-site Massage Therapy/Weight Training/Yoga, Music Room/Jams, Poolside Social Hour, Porcelain/China Painting, Quilting/Sewing & Crafts, Scrap booking, Silversmithing, Softball Teams, Stained Glass, Wood Shop & Carving and Too Much More to List! UPGRADES AND OPTIONS: Replaced Heat Pump (Serviced Annually) + Wall Mounted AC in AZ Room and Heat Emitting Electric Fireplace, Available Fully Furnished Including: (3) Flat Screen TV's, Double Sofa Sleeper, Linens, Queen Bed, White Sofa and Matching Chair, Electric Fireplace, Lamps, and Dining room Table w/ (2) Padded Chairs (Inventory List Upon Request). FEATURES/BENEFITS: Galley Kitchen, (3) Bay Windows, Warp-Around China Hutch, Mirrored Wardrobes, Skylight (KIT), Built-in Chest, OH Cabinets, Tub/Shower Combination, Shingled Roof, Front and Rear Exits in AZ Room. Appliances Include: Kenmore Smooth Top Range, Refrigerator, Microwave, and Full Size GE Washer/ Hotpoint Dryer. OTHER: Friendly Neighbors, Assistive Animals or Indoor Cat okay (Not located in the pet section of the community). *$5450 is current site fee and includes water, sewer, garbage and community provided basic cable and has increased every year. COMMUNITY FACILITIES/AMENITIES: Amazing Location within Walking Distance to Restaurants, Shopping, Attractions and More. Guarded Community Offers an Entire Array of Activities Including Coffee & Donuts, Dances, Classes, Billiards, Crafts, Heated Pool, Hot Tub and Too Much More to List! UPGRADES/OPTIONS: FULLY FURNISHED INCLUDING ALL APPLIANCES, FURNITURE AND FURNISHINGS “AS SEEN”. INCLUDES; LIFT IN STORAGE BED, LEATHER GLIDER-LOUNGE CHAIRS, DINING ROOM TABLE W/ PADDED CHAIRS, (2) FLAT SCREEN TV'S , POTS & PANS, SILVERWARE, DISHES, AND TOO MUCH MORE TO LIST (INVENTORY UPON REQUEST). FEATURES/BENEFITS: ALL ELECTRIC - CETNRAL AC & HEAT, MASSIVE STORAGE THROUGHOUT, WALK-THROUGH BA (WALK-IN SHOWER), SKYLIGHT, Mirrored Wardrobe Closet w/Base Drawers, Built-In Overhead Cabinets, Laminate Floor Covering, Vaulted Ceilings, Faces East for Morning Sun. Tons of Storage Throughout Including Hall Linen and Pantry, Utility Room, Plus Additional Storage Shed. OTHER: Name Brand (Appliances Including; 30” Smooth Top Range, DD Frigidaire Refrigerator and Space maker Microwave). Immediate Possession and Pets OK! UPGRADES AND OPTIONS: Updated and Serviced Goodman AC Unit (2013), Wall Mounted AC in AZ Room, (3) Exterior Storage Sheds, Updated Wood Inspired Floor Covering (Park Model), Private Rear Covered Patio Area, Fully Furnished Including: (3) Flat Screen TV's, Couch, Linens, Patio Furniture, and Dining room Table w/ (4) Chairs. Appliances Include: 30” Hotpoint Smooth Top Range, GE Refrigerator, GE Space Maker Microwave, and Kenmore Full Size Washer/Dryer. FEATURES/BENEFITS: Perimeter Location, Front Room Addition, Popular U Kitchen Floor-Plan offers Large Front LR, Three Window Front Bay, Wrap-Around Hutch w/Base & Overhead Storage, Built-in Pantry, Mirrored Wardrobe, (2) Built-in Bedroom Storage, Large Ground Set AZ Room w/ 2nd ½ BA Plus Storage Closet. OTHER: Updated Window Treatments (Vertical Blinds & Black-out Shades), Ceiling Fans T/O, Sunscreens, Quick Possession and Includes Pre-paid Site Fees Until February/2019. COMMUNITY: Viewpoint Golf Resort offers a “Player Friendly” 18-hole (71 Par) Championship Course and a 9-hole Executive Course for Golfers of All Abilities. With over 75,000 SQ' of Recreational Space, this Amazing Active Age Qualified Community also offers a State-of-the-art Fitness Facility, Four Heated Pools, Whirlpool Spas, Tennis Course, Billiards, Shuffleboard, Banquet Room, Horseshoe Pits, Huge Ballroom, Crafts, Classes, Woodworking, Glass-making, Live Concerts and Too Much More to List. Enjoy Happy Hour and Delicious Food at the On-Site Restaurant Overlooking Golf Course, this Amazing Community also offers RV Storage and a Hair Salon. Close to Dozens of Restaurants, Shopping, Banking and Medical Facilities, and Just Minutes from the Loop 202 and US HWY60. UPGRADES AND OPTIONS: Popular Alley-Galley Floor-plan w/13' Front Living room (Currently Used as Formal DR), Hall Access to Professionally Built Raised Platform Arizona Room w/Front & Rear Sliding Glass Doors, Composite Railed Deck, Large Epoxy Coated Driveway and Custom Red Block Perimeter/Rear Sun Area. Arizona Room Also Features Tape & Textured Walls and is Vented for Central AC & Heat. 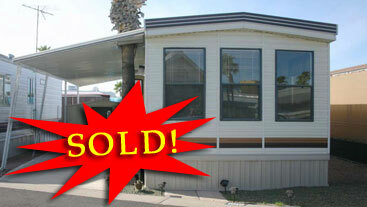 All Electric - Energy Efficient w/Central AC & Heat, Tinted Windows, Vertical Blinds and Ceiling Fans Throughout. FEATURES/BENEFITS: Ample Storage Throughout Including Wrap-Around Hutch w/Base & Overhead Storage, Hall Coat/Linen Closet, Mirrored Wardrobes w/Base Storage, OH Cabinets and Built-in Chest. Fully Furnished Including Refrigerator, Range, Microwave, Full Size Washer & Dryer, Dinette w/Leaf and (4) Chairs, Queen Bed, Queen Sofa Sleeper, (2) Recliners, Entertainment Center, Coffee & End Tables, Lamps, Linens, Kitchenware and More (Inventory List Upon Request). OTHER: Golf Cart Garage/Workshop/Storage Room (Includes 1998 Club Car Golf Cart), Fruit Bearing Orange Tree & *Pets Okay (Upon Management Approval Per Community Guidelines). UPGRADES AND OPTIONS: NEW Trane Heat Pump, Raised Platform 15' X 21' Arizona Room w/2nd ½ BA/Laundry Room (Includes Samsung Front Load Washer & Dryer - 2015), Name Brand Stainless Steel Appliances (GE Smooth-top Range, Maytag Base Freezer Refrigerator, Space-maker Microwave. Includes Most Furniture and Furnishings AS-SEEN Including Queen-size Lift & Storage Bed, (2) Recliners, Easy Chair, Sofa Sleeper, Dinette, Electric Fireplace, Flat Screen TV and More (Inventory List Upon Request). FEATURES/BENEFITS: Popular Galley Kitchen Floor-Plan offers Large Front LR, Four Window Front Bay, Wrap-Around Hutch w/Base & Overhead Storage, Built-in Linen Cabinet, Built-in Pantry, Mirrored Wardrobe, (2) Built-in Bedroom Chests of Drawers Plus a Huge Closet in Arizona Room Lots of Storage Including Wrap-around China Hutch w/Base and Overhead Storage, Built-in Pantry Cabinet, Built-in Linen Closet, (3) Mirrored Wardrobes, Rear Chest w/Overhead Cabinet, Plus a Walk-in Closet in Arizona Room. OTHER: Updated Window Treatments (Vertical Blinds & Black-out Shades), Ceiling Fans T/O, Tinted Windows, Quick Possession and Includes Pre-paid Site Fees Until December/2018. COMMUNITY: Community Amenities / Facilities: Beauty Salon & Barber Shop, Cactus Ranch House Grill, Card Room, Ceramics, Computer Center w/ High-Speed Internet & Hot Spots, Country Stores, Dinner Dances, Plays and Comedy Club, Karaoke, Bingo, Indoor and Outdoor Pools, Horseshoes, Jewelry Making, Lapidary, Laundry Facilities, Library, On-site Massage Therapy/Weight Training/Yoga, Music Room/Jams, Poolside Social Hour, Porcelain/China Painting, Quilting/Sewing & Crafts, Scrap booking, Silversmithing, Softball Teams, Stained Glass, Wood Shop & Carving and Too Much More to List! UPGRADES/OPTIONS: All Electric Well Maintained Skyline Park Model and Offer Quick Possession. All Electric w/Central AC & Heat this Comfy Home Offers Updated Laminate Floor Covering, Large Driveway w/New Epoxy Coating, Covered Patio, Matching & Connected Wired Workshop/Laundry/Utility Room (Includes Full Size Washer & Dryer), Fifth Wall Breezeway, and Rear Blocked Sun Patio. Popular U-Kitchen Floor Plan has Extended Breakfast Bar, Lazy Susan, 30” Range, Space-maker Microwave and Newly Installed Miniature Dishwasher. Turnkey Ready and Fully Furnished (AS-IS) Including Most Furniture, Patio Furniture Silverware, Dishes, Pots & Pans and Too Much More to List. FEATURES/BENEFITS: AMPLE STORAGE Including Built-in Pantry (KIT), Mirrored Wardrobes, Built-in Vanity, Additional Closet in BR, Built-in Linen in BA w/ Tri-Fold Medicine Cabinet, Simulated Marble Sink, and One-piece Tub/Shower Combination w/Enclosure. OTHER: UPDATED PEX PLUMBING, UPDATED WATER HEATER, UPDATED INTERIOR PAINT AND CEILING FANS THROUGHOUT. FEATURES AND UPGRADES: Popular U-KIT Kitchen Floor-plan is All Electric w/NEWLY INSTALLED INSULATED ALUMINUM ROOF SYSTEM ($2750 VALUE - 2017), Central A/C and Heat, Separate Laundry Area w/Full Size Washer & Dryer, 2nd ½ BA, Arizona Room w/Rear Exit, Vented for AC/Heat Plus a Large Workshop/Storage Shed. Covered Carport and Patio Area Offers an Epoxy coated Driveway, Slider Entrances to Park Model and Arizona Room and Sits on Corner Lot for Additional Parking. BENEFITS/OPTIONS: Lots of Storage Throughout Including Hall Mirrored Wardrobe, Built-in Linen/Pantry Cabinets, Mirrored Wardrobe Closets, Overhead Cabinets and Vanity in Bedroom. Park Model Bathroom offers Full Tub/Shower Combination w/High Rise Commode, Tri-Fold Medicine Cabinet and Simulated Marble Sink. OTHER: Easy Upkeep Landscaping, FURNISHED (AS-SEEN) Including All Appliances, Sofa Sleeper, Easy Chairs, Dinette and Queen Size Lift and Storage Bed. Immediate Occupancy. UPGRADES AND OPTIONS: Professionally Built Raised Arizona Room w/French Door Entry (Plus Rear Exit) has Full 2nd BA, Separate Laundry Area w/Designated Water Heater (2009) and Stacked Washer & Dryer. Also has Extended Uprights for High Profile Vehicles, Storage Shed, Deck w/Base Storage, Central AC & Heat (Vented to AZ Room) and Shingled Roof. Available “Mostly Furnished” Including; All Appliances, (2) Recliner/Easy Chairs, Queen Size Sofa Sleeper, Buffet, Dinette and Queen Size Bed (Inventory List Upon Request). FEATURES/BENEFITS: Popular Galley Kitchen Floor-Plan offers Large LR, Four Window Front Bay w/Overhead Trapezoid Feature Windows, Lots of Storage Including Wrap-around China Hutch w/Base and Overhead Storage, Built-in Pantry Cabinet, Built-in Linen Closet, (3) Mirrored Wardrobes, Rear Chest w/Overhead Cabinet, Plus a Walk-in Closet in Arizona Room. OTHER: Additional Golf Cart (or Compact Vehicle Parking) in Front, Located Just a Few Streets from the Clubhouse and Faces West for Sunset Happy Hours. Great Neighbors. IMMEDIATE POSSESSION - WITHIN WALKING DISTANCE TO SHOPPING, RESTAURANTS, BANKING AND MORE! FEATURES/BENEFITS: Popular U-Kitchen Floor Plan with BR Mirrored Wardrobe Closet w/Base Drawers, Updated Interior Paint, Newly Installed Laminate Floor Covering, Remodeled Kitchen w/New Cabinet Doors and Base Drawers, Cathedral Ceiling and Faces East for Morning Sun. Tons of Storage Throughout Including Hall Linen and Pantry, (2) Lazy Susan Cabinets, Bedroom Overhead Cabinets and Storage Closet in Arizona Room. OTHER: Updated Name Brand (GE & Frigidaire) Appliances Including; Full Size Range, DD/FF Refrigerator and Space-saver Microwave. AZ ROOM is Vented for Central AC & Heat, Electric Fireplace, Contemporary Lighting Fixtures, Sunscreens and Front Window Awning. Immediate Possession and Pets OK! UPGRADES AND OPTIONS: Beautiful Park Model with Raised Platform (Tape & Textured/Insulated) Arizona Room w/Additional Designated Water Heater, Carpeted & Railed Steps w/Base Storage, Extended Uprights, Aluminum Privacy Panels, Separate Laundry Area, Lots of Storage and Additional ¾ BA. Prior Owner Replaced Roof (Professionally Installed Over Park Model and Arizona Room offers Additional Insulation), All Electric w/Central A/C & Heat (Vented to AZ Room) and Excellent Location (Two Streets from Community Center and Facing East for Morning Sun. Fully Furnished Including Sofa Sleeper, (2) Comfy Easy Chair Recliners, Dinette w(4) Chairs, (2) Queen Beds/One Almost Brand New ($900 Value), (2) Flat Screen TV's, (2) Electric Fireplaces, Kitchenware, Linens and Updated Name Brand Appliances; 24” Smooth Top Range, DD/FF Refrigerator and Stacked Washer & Dryer. FEATURES/BENEFITS: Galley Kitchen with Front and DR Bay Windows, Corner Sink w/Base Drawers, Skylight and Tub/Shower Combination in Park Model and Walk-in Corner Shower in Arizona Room. Cathedral Ceilings and Light Oak Give this Well Kept Home and Light Open Feel. Lots of Storage Throughout Including Mirrored Wardrobes, Hall Pantry, BA Linen, and Two Large Closets w/Bi-Fold Raised Panel Doors in AZ Room, China Hutch Plus Additional Base Storage Under Spacious Carpeted and Railed Deck. OTHER: Juicy Orange Tree, Room in Back for Patio Blocks and Additional Storage Area if Desired. Hurry, This one won't last long! SEE A VIDEO ABOUT THIS HOME!!!! FEATURES AND UPGRADES: Popular Galley Kitchen Floor-plan is All Electric w/Shingled Roof, Central A/C and Heat and Offers a Hall Exit to Spacious Basement Style Arizona Room. Front Slider Entry (Replace to Double Pane) to Large LR/DR Area Offers Built-in Entertainment Center and China Hutch w/Display Shelving, NEW FRONT DUAL PANE WINDOWS AND NEW CARPET THROUGHOUT. Hall Access to Large Arizona Room w/Front Carport/Patio and Rear Attached Utility/Laundry Room w/ Full Size Washer & Dryer. BENEFITS/OPTIONS: Living Room Includes NEW LEATHER RECLINING LOVESEAT, Easy Chair, Side Tables, Lamps and NEW PUB TABLE IN DR w/Bay Windows. BA offers a Tub/Shower Combination, Built-in Toiletry and Linen Cabinets, Raised Natural Oak Type Cabinetry Throughout w/lots of Storage Including Optional OH Storage Cabinets, Desk, Chest and Sliding Wardrobe Closets in BR. UPGRADES AND OPTIONS: NEW CENTRAL AC & HEAT (2015), NEW BATHROOM AND BEDROOM WINDOWS (All Windows Sealed), NEW GUTTER, NEW SHOWER HEAD, KITCHEN FAUCET AND DISPOSAL. Light and Bright Interior Wall Covering, Cathedral Ceiling with Ceiling Fans, All Electric w/Central A/C & Heat (Vented to Arizona Room) Plus Separate Laundry Room with Full Size Washer & Dryer and 2nd ½ BA. Other Upgrades Include Reverse Osmosis, Upgraded Berber Carpet (AZ Room), Durable Vinyl in High Traffic Areas (Hall/KIT/BA) and Updated Window Treatments T/O. Spacious Bull BA with Tub/Shower Combination, Space Saving Pocket Door Entry, Extra Wide BA Vanity with Base Drawers, Built-in Linen Cabinets and Slider Door Entry. FEATURES/BENEFITS: This Gorgeous Home Features Tape & Textured Cathedral Ceiling, Tape and Textured Arizona Room (Dual Pane Windows) Shingled Roof. Popular U-KIT Floor plan offers Breakfast Bar, Huge Front LR, DR Bay and offers Lots of Natural Light with Three West Facing Front Windows. Lots of Storage Throughout Including Hall Pantry/Coat Closet, Double Door Linen Cabinets & Base Vanity Drawers in BA, 9' Mirrored Wardrobes w/Base Storage Drawers and Extra Interior Drawers in BR. Hall Exits to Arizona Room with and Front Sliding Door Entrance to Arizona Room and Offers and Additional Exit to Rear Patio/Storage Area. OTHER: Includes All Appliances, Furniture and Tastefully Coordinated Including Two Flat Screen TV's, Dinette w/ (4) Chairs, (2) Easy Chairs, Sofa Sleeper, Queen Bed s/Matching Night Stands & Lamps, Chest of Drawers, (2) Computer Tables, File Cabinet, Some Wall Décor, Linens, Silverware, Dishes, Pots/Pans, Coffee Maker, Toaster, Baking Dishes, Vacuum, Ladder, Tools, and More! UPGRADES AND OPTIONS: Beautiful Park Model on Prime Perimeter Location is All Electric and Fully Furnished - Available for Immediate Possession. Upgrades Include Central AC & Heat, Ceiling Fans w/Lights, Laminate Floor Covering, Tape and Textured Walls, Vinyl Siding, Shingled Roof, Carport Privacy Panels Plus a Matching and Connected Shed w/Washer & Dryer. Fully Furnished Including Sofa Sleeper, Leather Type Easy Chair, Side Tables & Lamps, Dinette w/Chairs, Queen Bed, Patio Furniture (2) Flat Screen TV's, Linens, Dishes, Silverware, Cookware (Fully Stocked Kitchen) and Too Much More to List. 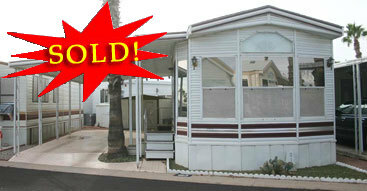 Includes All Appliances; Electric Range, Space-maker Microwave, DD/FF Refrigerator and Washer & Dryer. FEATURES/BENEFITS: Galley Kitchen with Front and DR Bay Windows, Wood Cornices, Walk-in Shower w/Frosted Glass Enclosure and Mirrored Wardrobe in Bedroom. Lots of Storage Throughout Including Hall Pantry Closet, Hall Storage Closet, BA Linen Closet, Tri-Fold Medicine Cabinet, China Hutch, BR Base Vanity and OH Cabinets. Hall Exits to Covered Patio/Carport w/Matching/Connected Storage Unit. OTHER: Carpeted and Railed Steps, Pets Ok, and Available for Immediate Possession! COMMUNITY: Beauty Salon & Barber Shop, Cactus Ranch House Grill, Card Room, Ceramics, Computer Center w/ High-Speed Internet & Hot Spots, Country Stores, Dinner Dances, Plays and Comedy Club, Karaoke, Bingo, Indoor and Outdoor Pools, Horseshoes, Jewelry Making, Lapidary, Laundry Facilities, Library, On-site Massage Therapy/Weight Training/Yoga, Music Room/Jams, Poolside Social Hour, Porcelain/China Painting, Quilting/Sewing & Crafts, Scrap booking, Silversmithing, Softball Teams, Stained Glass, Wood Shop & Carving and Too Much More to List! UPGRADES/OPTIONS: Professionally Designed and Built Arizona Room (20' x 16') (Including Built-in Storage/Utility & Laundry Room Plus Built-in Bookshelves and Closet w/Bi-Fold Doors. All Electric w/Central A/C and Heat (3 TON - NEW IN 2010), Double Foam Room (Over Park Model & Arizona Room), Tape & Textured (AZ Room), Boxed Steel Uprights for Extended Awning Height, Sunscreens, Window Awnings, “Up and Over” Carpeted Steps w/Railing, Replaced Arcadia Door w/Residential Inswing Door w/Encased Center Adjustable Blinds, Updated Floor Covering Throughout (Vinyl and Upgraded Neutral Plush Carpet and Indoor/Outdoor Low Pile In AZ RM), Ceiling Fans w/Lights and Overhead Track Lighting in KIT, Light Oak Cabinetry (KIT Doors Pained Since Photos) and Tub to Shower Conversion w/Safety Grab Bar. Also has Melamine Coated Drawers w/Steel Guides, Adjustable Kitchen Cabinet Shelving and Pocket Door Entry to BA and BR and Hall Exit To Arizona Room. FEATURES/BENEFITS: Large LR/DR Area w/View of Superstition Mountains, Tons of Storage Throughout Including; Hall Pantry, Wrap Around China Hutch, Built-in BA Linen Cabinet, Dual Closets w/Built-in Chest and Rear Pop-Out with Overhead Cabinet and Base Storage Drawers, Large Utility Room Plus Laundry Room, Built-in Book Shelves and (2) Additional Full Closets w/Sliding Doors in Arizona Room. Other Popular Features Include 30” Smooth Top Range, Updated Space-maker Microwave, DD/FF Refrigerator and Stacked Washer/Dryer. OTHER: Fully Furnished Including Queen Size Sofa Sleeper, Deluxe Dinette w/Padded Swivel Chairs, Queen Bed, Desk and Chairs in Arizona Room, (2) Flat Screen TV's, Dishes, Silverware, Pots and Pans, Linens and Too Much More to List (Complete Inventory List Upon Request). HEALTH ISSUES FORCE SALE OF GORGEOUS CAVCO! UPGRADES/OPTIONS: Custom Designed All Electric 2002 CAVCO CAROUSEL KITCHEN w/Five Window Front Bay Is Ready For Immediate Possession! This Luxurious Home Offers Lots of Outdoor Space for Entertaining, Additional Parking and Sits Just One Block From the Community Center. Facing East, Light Streams through SIDE CLARESTORY AND FRONT OVERHEAD FEATURE WINDOWS Plus a Five Window Front Bay. Large Living Room w/Formal DR, Double Paned Windows and Slider Entry with Vertical Blinds. Updates Include LAMINATE FLOOR COVERING, STAINLESS STEEL APPLIANCES and a NEW Garbage Disposal..
FEATURES/BENEFITS: Ample Storage Throughout Including Built-in China Hutch w/ Feature Lighting and Glass Shelves, Built-in Linen/Pantry, Sliding Wardrobe Closet w/Base Drawers, Built-in Vanity Plus a Separate Laundry Room and Storage Shed. Custom Ordered Features Including Tape and Textured Walls Solar Tube Natural Lighting in BA, Wood Cornices, Full Size Stack Front Load Washer & Dryer, Stainless Steel Refrigerator, Dishwasher, Smooth Top Range and Eye Level Microwave. BA offers Corner Sink and a One Piece Simulated Tile Walk-in Shower. OTHER: Low Upkeep Blocked Front Landscaping, Additional Cemented Side Parking and EPOXY COATED DRIVEWAY under Large Covered Carport. 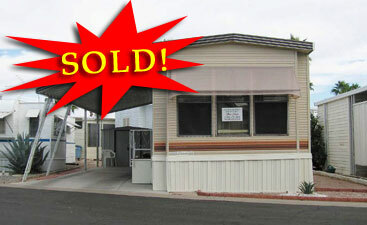 Workshop/Laundry Features Full Size Stack Washer & Dryer Plus Additional Storage Shed and Rear Aluminum Privacy Fence. Ready for Immediate Possession! UPGRADES/OPTIONS: FULLY FURNISHED WITH ALL APPLIANCES, FURNITURE AND FURNISHINGS AS SEEN INCLUDING SOFA SLEEPER, EASY CHAIRS, FLAT SCREEN, MURPHY BED, DINETTE, QUEEN BED, SILVERWARE, DISHES, BBQ, AND TOO MUCH MORE TO LIST (INVENTORY UPON REQUIEST). ALL ELECTRIC WITH CENTRAL A/C & HEAT This Gorgeous Home Offers a Professionally Built Floor Level Arizona Room w/Insulated Ceiling, Full 2nd BA, Updated Laminate and Vinyl Floor Covering. FEATURES/BENEFITS: Popular Floor Plan with Double Wardrobe Closets, Extended Sofa/DR Bay, Kitchen Bay, Space Saver Microwave, and Massive Storage Throughout. Both Bathrooms have Full Size Tub/Shower Combination, Light Interior Walls and a Rubberized Roof. Lots of Storage Including; Wrap Around China Hutch, Built-in Linen in Both Bathrooms, Hall Closet, Large Closet with Bi-Fold Doors in Arizona Room, Laundry Room Storage, Base Storage Drawers in Arizona Room Plus a Rear Rubber-made Storage Closet. Also Features Raised Panel Cabinet Doors, Pocket Door Entry to BA/BR, Wood Cornices and a Built-in Hamper. OTHER: Immediate Possession and Pets OK! FOR SALE BY OWNER - PRICE REDUCED TO $13,900! PETS OK - IMMEDIATE POSSESSION! UPGRADES/OPTIONS: All Electric w/Central A/C and Heat, Light Interior Partially Tape and Textured Walls, Four Large Front Picture Windows, Updated Residential In-swing Door w/Encased Adjustable Blind Feature, Recent Roof Coat (2014), New Water Heater, Large Matching Connected Storage/Utility Room Plus Additional Rear (Uncovered) Storage Shed. Includes Existing Appliances; 30” Electric Range (2010), Space maker Microwave, DD/FF Fridge (2010) and Full Size Washer & Dryer. FEATURES/BENEFITS: Large Front LR/DR, White Kitchen Cabinetry, Offside Privacy Windows, Ceiling Fans (LR/BR), Vanity w/Base Drawers and OH Storage. MBR has Queen Bed, Walk-in Closet and Built-in Bookshelves. Rear Bathroom offers a One Pc. Tub/Shower Combination, Built-in Toiletry Cabinet and Rear Exit to Covered Patio/Carport. Located Just Steps from the Clubhouse/Pool and Convenient to Side Community Exit with a Great Mountain View. COMMUNITY: Superstition Sunrise RV Resort is the BEST! Beauty Salon & Barber Shop, Cactus Ranch House Grill, Card Room, Ceramics, Computer Center w/ High-Speed Internet & Hot Spots, Country Stores, Dinner Dances, Plays and Comedy Club, Karaoke, Bingo, Indoor and Outdoor Pools, Horseshoes, Jewelry Making, Lapidary, Laundry Facilities, Library, On-site Massage Therapy/Weight Training/Yoga, Music Room/Jams, Poolside Social Hour, Porcelain/China Painting, Quilting/Sewing & Crafts, Scrap booking, Silversmithing, Softball Teams, Stained Glass, Wood Shop & Carving and Too Much More to List! UPGRADES/OPTIONS: All ELECTRIC W/CENTRAL AC & HEAT, Ceiling Fans, LAMINATE FLOOR COVERING IN HALL/KIT/BA (Upgrades Cranberry Plush Carpeting in LR/BR), QUEEN SIZE LIFT AND STORAGE BED, WATER SOFTENER, DUAL PANED WINDOWS, UPDATED WATER HEATER (2014), Newly Painted Cathedral Ceiling, Sturdy Wood Deck with Base Storage, Lattice Carport Privacy Panels, Rear Blocked Patio, DOUBLE INLINE CARPORT w/High Rise Uprights, COVERED PATIO, WINDOW TINT, VENETIAN & VERTICAL BLINDS PLUS SUNSCREENS. FEATURES/BENEFITS: Faces East for Morning Sun this Gorgeous and Well Maintained Home is Available for IMMEDIATE OCCUPANCY. Lots of Popular Features Including Wood Cornices w/Fabric Overlay, Track Lighting, Wrap Around China Hutch, Built-in Linen, BR Overhead Storage, Built-in Vanity and Queen Platform Bed with Base Storage. Also has Space Saving Pocket Door Entries to BR & BA, REAR EXIT FROM HALL and Comes FULLY FURNISHED (AS-Seen) with UPDATED APPLIANCES Including; Smooth Top Range, Carousel Space-saver Microwave and Like New Full Size GE Washer & Dryer (2015). OTHER: Amazing Superstition Mountain View, Private Perimeter Location, Site Fee Paid Until Jan/2017. COMMUNITY: Cactus Ranch House Grill, Card Room, Ceramics, Computer Center w/ High-Speed Internet & Hot Spots, Country Stores, Dinner Dances, Plays and Comedy Club, Karaoke, Bingo, Indoor and Outdoor Pools, Horseshoes, Jewelry Making, Lapidary, Laundry Facilities, Library, On-site Massage Therapy/Weight Training/Yoga, Music Room/Jams, Poolside Social Hour, Porcelain/China Painting, Quilting/Sewing & Crafts, Scrap booking, Silversmithing, Softball Teams, Stained Glass, Wood Shop & Carving and Too Much More to List! UPGRADES/OPTIONS: LIGHT AND BRIGHT INTERIOR WALLS, All Electric Well Maintained Skyline Park Model and Immediate Possession. All Electric w/Central AC & Heat with a NEW WATER HEATER, NEWER STOVE, MICROWAVE, REFRIGERATOR, WASHER & DRYER AND DELUXE UPDATED FLOOR COVERING! Huge Rear Blocked Patio, Faces East for Morning Sun, Extended Uprights and Privacy Panels on Carport, Plus Custom Front Golf Cart Parking. Popular U-Kitchen Floor Plan has Extended Breakfast Bar, Full Drop Fluorescent Lighting in KIT, One Piece Tub/Shower Combination w/OH Lighting and Vent Fan. FEATURES/BENEFITS: AMPLE STORAGE Including Built-in Pantry Cabinets and Closet, Mirrored Wardrobes w/Base Drawers, OH Bedroom Cabinets, Built-in Computer Desk, Built-in Vanity w/Chest of Drawers, Additional Closet in Hall, Built-in Linen in BA w/ Tri-Fold Medicine Cabinet. Fully Furnished Including KING BED IN BEDROOM, QUEEN SIZE SOFA SLEEPER, DISHES, LINENS, SILVERWARE PLUS (2) FLAT SCREEN TV'S. OTHER: FACES EAST FOR MORNING SUN, FRONT FRUIT TREE, DELUXE STEPS W/STORAGE, INDOOR/OUTDOOR CARPET, 5TH WALL BREEZEWAY PLUS LARGE STORAGE SHED WIRED WITH ELECTRIC. SITE FEE PAID UNTIL JUNE/2017. IMMEDIATE POSSESSION. UPGRADES/OPTIONS: MUST SELL All Electric Well Maintained Skyline Park Model and Immediate Possession. All Electric w/Central AC & Heat (Vented to AZ ROOM) this Comfy Winter Home Offers Basement Style Arizona Room w/Front and Rear Access w/Large Rear Blocked Patio on the Prime South Perimeter Wall. Popular U-Kitchen Floor Plan has Extended Breakfast Bar, Corner Lazy Susan, 30” Range and Space-maker Microwave. Furnished (AS-SEEN) Dinette w/(4) Chairs, Sofa Sleep, Flat Screen TV, Queen Bed, Silverware, Dishes, Pots & Pans and More. FEATURES/BENEFITS: AMPLE STORAGE Including Built-in Pantry (KIT), Mirrored Wardrobes, OH Bedroom Cabinets, Built-in Vanity, Additional Closet in Hall, Built-in Linen in BA w/ Tri-Fold Medicine Cabinet, Simulated Marble Sink, and One-piece Tub/Shower Combination w/Enclosure. 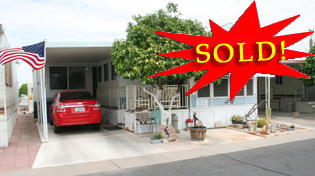 Also Features Cathedral Ceiling, Front Picture Windows Facing North, Mountain View, Reading Lights and Ceiling Fans T/O. OTHER: Excellent Location on “Lassie”, Close to Clubhouse, Dog Park and South Exit. SEE A VIDEO ABOUT THIS HOME! UPGRADES/OPTIONS: All ELECTRIC W/CENTRAL AC & HEAT, LAMINATE FLOOR COVERING IN PARK MODEL (BERBER - AZ ROOM), QUEEN SIZE LIFT AND STORAGE BED, SKYLITES IN KIT & BA, Vinyl Covered Drywall Interior Walls, LARGE DECK, EXTENDED UPRIGHTS W/ALUMINUM SUN PANELS, FACTORY TINT AND WINDOW AWNINGS. SPACIOUS 13' LR has Glass Sliding Door Entry, Wood Cornices, LR & DR Bay Windows Plus an OVERHEAD FEATURE WINDOW. FEATURES/BENEFITS: “CAVCO” Superior Construction and Craftsmanship: Asphalt Fiberglass Shingled Roof, 2 X 4 Construction 16” on Center, Fiberglass Insulation, 45 Degree Cabinet Corners, Vented Roof System and Double Banded Aluminum Siding. Popular ALLEY-GALLEY KIT Features OH Track Lighting, 24” Range, SPACE MAKER MICROWAVE, DD/FF Refrigerator, Single Lever Faucet w/Sprayer and Built-in Cutting Board. Ample Storage Including Built-in Entertainment Center (Will Accommodate Flat Screen), (2) Built-in Hall Storage Cabinets (Linen & Pantry), (2) Huge Closets w/Bi-Fold Doors in Arizona Room, Bedroom Mirrored Wardrobes, Rear Bay w/Built-in Vanity w/Base Drawers and OH Cabinets, Bedroom Overhead Cabinets, Extended Vanity w/Base Drawers and Tri-Fold Medicine Cabinet in BA, Plus Small Storage Shed in Rear. OTHER: Pocket Door Entries to BR & BA, Hall Exit to Arizona Room, Ceiling Fans, One Piece Corner Sit-Down Garden Tub/Shower Combination w/Safety Grab Bar and Small Blocked Rear Patio. Fully Furnished Including Easy Chair, Sofa Sleeper, Dinette, Queen (Lift and Storage), Silverware, Dishes, Etc. Site Rental Fee Paid Until Oct/2016. 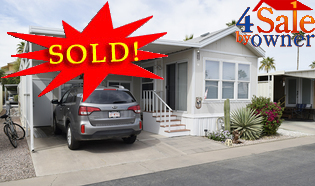 UPGRADES/OPTIONS: All Electric w/Central A/C and Heat, Neutral Wall and Warm Panel Interior, Three Window Front Bay, Mirrored Wardrobes, Window Awnings and Tint, Carpeted and Railed Front and Rear Steps Plus Matching and Connected Storage Shed w/Bench and Laundry Area. Includes Existing Appliances; 30” Electric Range, Space maker Microwave, DD/FF Fridge and Full Size Washer & Dryer. FEATURES/BENEFITS: Lots of Storage Including Hall Pantry and Linen Closet, BR Mirrored Wardrobes, Vanity and OH Cabinets. Other Popular Features Include; One Pc. Tub/Shower Combination, Cathedral Ceiling, Recessed Lighting, Ceiling Fans, and a Shingled Roof. OTHER: Furnished AS SEEN with Sofa Sleeper, Easy Chair, Flat Screen TV, Dinette, Queen Bed, Silverware, Linens, Dishes, Etc. Easy Upkeep Landscaping, Matching and Connected Shed and Large Rear Blocked Patio. Faces East and Just a Few Streets from Clubhouse and Pools. Includes Site Rental Fee Until July/2016. Immediate Possession! 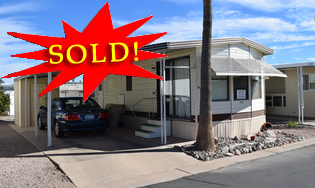 UPGRADES/OPTIONS: All Electric w/Central A/C and Heat, Shingled Roof, Laminate Floor Covering in Park Model, Three Front Bay Windows, Eat-in DR Bay, New Roof Over AZ Room and Carport, Replaced Water Heater (2000), Cheerful Interior Walls, Cathedral Ceiling, 15' X 15' AZ Room (Built in 2006), Murphy Bed and Rear Shed with Full Sized Washer and Dryer. FEATURES/BENEFITS: Light and Bright with Morning Sun Patio and LR Exposure, Light Oak Cabinetry w/Refinished White Kitchen Cabinets and Ceiling Fans T/O. This Cute Little Dollhouse offers Lots of Storage Including Off Side Counter and Cabinets, Built-in Pantry and Linen Closets, Sliding Wardrobe with Base Drawers and Built-in Vanity in BR and Additional Closet in AZ Room. Hall Exit Access to Arizona Room w/Front Slider Entry and Rear Exit to Storage Shed w/Shelves and a Full Size Washer & Dryer. OTHER: Fully Furnished Including Bed, Easy Chairs, Dinette, Appliances, Linens, Silverware, Dishes and Too Much More to List. Lift Chair and Custom Coffee Table Optional. CANADIAN MUST SELL - SITE RENTAL FEE ONLY $4200 PER YEAR! UPGRADES/OPTIONS: Beautifully Appointed Laurel Creek Park Model with Professionally Built Arizona Room (City of Mesa Permitted) is Available for Immediate Possession and Includes Pre-paid Rent until July. Large Basement Style Arizona Room Has 10' Ceilings w/OH Feature Windows, Gorgeous “18 Porcelain Tile, Front Slider and Rear Access, 2nd ½ BA/Laundry Room with Full Capacity Front Load Washer & Dryer. This Property is All Electric w/Central AC & Heat (Vented to AZ Room) and offers a Front Covered Carport/Patio Area, Deluxe Entry Steps and Built-in Storage Shed. Updates Include a Newer Water Heater and Base Freezer Fridge with Transferrable Warranty. FEATURES/BENEFITS: White Framed Dual Paned Windows, Shingled Roof, Tape and Textured Walls, Walk-in Shower, Large Front LR, DR Bay Windows, Pocket Door Entry to BR/BA, and Ceiling Fans Throughout. Lots of Storage Throughout Including Pantry Cabinet, Linen Closet, Toiletry and Medicine Cabinets in Full BA, Vanity with Base Drawers in 2nd ½ BA, Full U-KIT with OH Cabinets, Mirrored Wardrobes w/Base Drawers and OH Cabinets in BR. OTHER: Fully Furnished Including Double Reclining Leather Type Theater Sofa, Flat Screen TV, Dinette Set w/ (4) Chairs (Plus Leaf), Queen Bed (2012), Queen Size Sofa Sleeper w/4” Memory Foam Mattress, Occasional Chairs, Coffee and End Tables, Computer Desk, Patio Furniture, Silverware, Dishes, Pots/Pans, Linens and Too much more to list. Faces East for Morning Sun, Small Rear Blocked Patio, Close to Clubhouse. UPGRADES AND OPTIONS: Elegant and Custom Designed All Electric SILVERCREST HOME is Fully Furnished w/Newly Installed Laminate in Park Model, Stunning High Vaulted Ceilings w/(2) Clerestory Peaks w/Feature Windows, Plant Shelves. Bull Nosed Tape and Textured Walls, Window Tint, Top Quality Construction (and Craftsmanship), Real Oak Cabinetry w/Raised Cabinet Doors with Staggered Beveled Glass Inserts. AZ Room offers Upgraded “Solar Panel” Arizona Room Ceiling ($5000 Value). Professionally Built 17' X 20' Raised Arizona Room (Tape & Textured) Hall Access, Front Slider Entry Epoxy Coated Front Deck w/Railing, Large Laundry Room w/2nd ½ BA Plus a Rear Exit to Storage Shed. FEATURES AND BENEFITS: Lots of Storage Throughout Including Massive Wrap Around China Hutch w/Glass Shelves, Bedroom Tri-Slider Mirrored Wardrobes w/ Built-in Dresser & Base Drawers, Overhead Storage Cabinets, Built-in Night Stands (Plus Reading Lights), Separate Sliding Wardrobe and Massive White Melamine Cabinets in Laundry Room. BA has Beveled Glass Sliding Medicine Cabinet Doors, Built-in Linen Cabinet, Overhead Cabinets w/Smart Space Corner Commode (High Rise/Newly Replaced), Corner Garden Tub/Shower Combination w/Seat & Glass Enclosure. Fully Furnished Including All Name Brand Appliances; Brown Electric Range, Kenmore Space maker Microwave, DD FF GE Refrigerator & Full Size Estate WD. Galley Kitchen is Spacious and Opens to Large DR w/Bay Windows, OH KIT Skylight w/Adjustable Sun Shade and Tons of Natural Light. OTHER: Central A/C & Heat (Vented to Arizona Room), Newer Water Heater (2009), Recently Resealed Shingled Roof and Transferable Termite Warranty. Fully Furnished Including; NEW OAK ENTERTAINMENT CENTER, Two Sofa Sleepers, Easy Chairs, Dinette w/(4) Padded Chairs, Oak Super Drop Leaf Table in Arizona Room (Extra Chairs for Entertaining in Shed), TV, Side Tables, Table Lamps, Décor Items, Dishes Silverware, Linens, Patio Furniture, BBQ, Queen Bed and Too Much More to List (Inventory List upon Request). CANADIAN CLEAN! INCLUDES SPACE RENT PD UNTIL JUNE/2016! SEE A VIDEO OF THIS PROPERTY! UPGRADES/OPTIONS: Some Upgrades Include; All Electric w/Central A/C and Heat, Extended Uprights for Wider Parking in Carport, Shingled Roof, (2) Exterior Storage Units, Two Toned Interior Tape and Textured Walls, Three Window Front Bay w/Overhead Feature Mirror, Faux Dark Wood Blinds and Coordinated Rich Laminate Type Flooring (Perfect for High Traffic). This Custom Decorated & Updated Abode Provides a Country/ Victorian Theme and Includes all Existing Appliances; Electric Range, Space maker Microwave, DD/FF Fridge and a Furniture/Décor Package anyone would love!!! FEATURES/BENEFITS: Other Popular Features Include Mirrored Wardrobes, Tub/Shower Combo in Park Model, Cathedral Ceiling, Custom Contemporary Recessed Lighting, Fun Wall Coverings, Built-in Pantry & Linen Cabinets, Stack Washer & Dryer in Separate Laundry Room/Coat Closet Located in Spacious Arizona Room. SITE RENTAL FEE INCLUDED UNTIL JULY/2016! UPGRADES AND OPTIONS: Deluxe Park Model with Large Arizona Room and 2nd ½ BA Located on Prime Corner Lot just steps from the Community Center. This Beautiful Winter Home is All Electric w/Central AC and Heat (Vented to AZ RM), and Offers a Separate Utility Room with Full Size Washer & Dryer Plus Pantry/Storage Shelves, Rear Private Sun Patio and Storage Shed/Workshop. Recent Upgrades Include Walk-in Shower, Reverse Osmosis and Roof Coat. FEATURES/BENEFITS: Cathedral Ceiling, Ceiling Fans and Vertical Blinds T/O, Front and DR Bay Windows, U-Shaped Kitchen w/30” Range and Updated Space maker Microwave. Lots of Storage Including Hall and BR Mirrored Wardrobes w/Base Storage, Pantry and Linen Cabinets, Additional Closet in AZ Room, Storage Shed (In Addition to Workshop/Shed). Well Kept with Real Oak Cabinet Fronts, Upgraded Plush Carpet, Extended Uprights and Decorative Coated Carport/Covered Patio Area. SPACIOUS 2006 CAVCO PARK MODEL WITH HUGE AZ ROOM! SEE A VIDEO ABOUT THIS PROPERTY! UPGRADES/OPTIONS: All Electric 2006 CAVCO FRONT KITCHEN MODEL Offers Nearly 1000 SQ' of Living Space. Floor Level 16' X 35' Arizona Room has Full 2nd Bedroom with Huge Sliding Wardrobe Closet, 2nd ½ BA/Laundry Room with Plenty of Space for Shower. AZ Room has 2' X 6' Construction with Tape and Textured Walls and Laminate Floor Covering T/O. FEATURES/BENEFITS: Blocked Glass Custom Snail Shower, Skylight in BA, Portable Island in KIT, Queen Size Murphy Bed Wall Unity in Addition to Large 2nd BR. Also Features Light Bar Plant Shelves, Dual Pane Windows, Shingled Roof and Updated Exterior Paint. Furnished As Seen (Except Seller Took One Chair in AZ Room). OTHER: Tons of Storage Throughout Including Custom Hall Linen Cabinets, Wrap Around China Hutch, Huge Pantry Cabinet Unit and Park Model Mirrored Wardrobe Closets. Large Wired Workshop with AC, Additional Shed in Rear, Rear Exit and Reinforced Locks. Immediate Possession! UPGRADES/OPTIONS: Custom Designed All Electric 2009 CAVCO FRONT KITCHEN MODEL DD-80F HAS IT ALL! Boasting a Floor Level 16' X 20' Arizona Room w/2nd ½ BA, this Luxurious Home Offers Ample Space for Entertaining, Guest Visits and Even Year Round Living. Light Streams through Celestial Overhead and Front Bay Windows into a Front Island Kitchen w/Formal DR, Wrap Around China Hutch w/ Feature Lighting and Glass Shelves, Raised Oak/Panel Cabinetry, Recessed Track Lighting and 6ft Entry to Arizona Room! Ceramic Tile Throughout (Except BR) and Top of the Line Name Brand Appliances Include GE Glass Top Self Cleaning Range, DD FF Fridge and DW in KIT. FEATURES/BENEFITS: Custom Designed and Features Include Tape and Textured Walls w/Bull Nosed Corners, Skylights in KIT/BA, WD, Water Softener and Reverse Osmosis, Front Deck, Crown Molding Baseboards, Mirrored Wardrobe, Corner Sink in BA w/Base Storage and a One Piece Simulated Tile Tub/Shower Combination. OTHER: Fully furnished w/Over (4) Pages of Furniture and Furnishings Including, Dining Room Set, Queen Bed, Queen Size Sofa Sleeper, Desk w/Chair, De Grazia Artwork, Fiesta Dishware Set, Stainless Steel Flatware Set, Linens, Cookware, TV's, BBQ Grill w/Cover, Wrought Iron Patio Set, Shingled Roof, Extended Carport Awning, Deck Storage and Upgraded Cement Board Siding & Too Much More to List. Amazing Open Kitchen View and Close to Community Center. FURNISHED 1989 CAVCO - PARK MODEL - STEPS FROM POOL! UPGRADES/OPTIONS: All Electric w/Central A/C and Heat, Light Interior Walls, Window Front Bay, Dining Bay, Mirrored Wardrobes, Window Awnings, Tinted Windows, Driveway Privacy Panel, Up-and-Over Carpeted and Front Step and Rear Steps w/Storage. Includes Existing Appliances; 30” Electric Range, Space maker Microwave, DD/FF Fridge and NEW STACK WASHER & DRYER (2014). FEATURES/BENEFITS: Other Popular Features Include Wrap Around Counter with OH and Base Storage in KIT, Hall Pantry, Built-in Linen, One Pc. Tub/Shower Combination with Glass Enclosure, Light Oak Cabinetry, Cathedral Ceiling, Ceiling Fans, Recessed Lighting and LR China Hutch and Buffet. OTHER: Furnished AS SEEN with Sofa Sleeper, Easy Chair, Dinette and Queen Bed. Easy Upkeep Landscaping, Matching and Connected Shed and Rear Blocked Patio. Facing West and Located Directly Across the Street from the Clubhouse! WASHER & DRYER - FACES EAST FOR MORNING SUN! UPGRADES/OPTIONS: This well kept ALL ELECTRIC Home Comes FULLY FURNISHED has CENTRAL A/C & HEAT, REAR BA (with Washer & Dryer), EXTRA WARDROBE AND TUB/SHOWER COMINATION. Large Covered Carport also Features an 8' X 10' Workshop with Bench/Shelving (Wired for Electric) and Large Rear Area Perfect for Blocked Patio. Light Interior Walls w/Bold Multi-Tone Touch, Walnut Colored Raised Frame Cabinetry; this POPULAR U-KIT floor plan Offers 30” Electric Range, DD/FF Refrigerator, Space maker Microwave and Built-in Dishwasher. FEATURES/BENEFITS: AMPLE STORAGE Including Built-in Pantry (Includes Remaining Jugs of Booze), BR Chests, (2) Sets of Mirrored Wardrobes, OH/Base Cabinets Cabinets in KIT, Tri-Fold Medicine Cabinet and Built-in Toiletry. Other Popular Features Include; Recent Roof Coat (2014), TINTED WINDOWS, Ceiling Fans T/O, and Heavy Duty Tec's Deck Front Platform Steps w/Railing. Rear BA has One-piece Tub/Shower Combination w/Enclosure and Simulated Marble Extended Lavvy. OTHER: FULLY FURNISHED Including Queen Sized Sofa Sleeper, Easy Chair, Dinette w/ (4) Chairs, Queen Bed, (2) Flat Screen TV's, Silverware, Dishes, Linens, Etc. and Décor Items (AS-SEEN). Includes ½ Annual Rent Currently Paid Until December 1, 2015 by Seller -Buyer Pays 2nd ½ of Remaining Rent Upon Purchase. INLCUDES SPACE RENT PAID UNTIL JANUARY/2016! 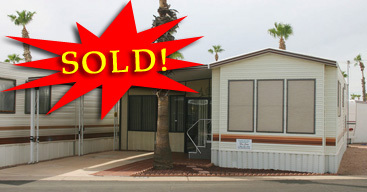 UPGRADES/OPTIONS: ALL ELECTRIC WITH CENTRAL A/C & HEAT (VENTED TO AZ ROOM) is Located on Corner Lot Close to Clubhouse. Huge ARIZONA ROOM Features Large Entertainment Room Plus a Guest Area, ¾ BA and Full Size Washer & Dryer. This Home is LIGHT AND BRIGHT WITH VAULTED CEILINGS, Natural Oak Type Raised Panel Cabinetry and Updated Countertops. GALLEY KITCHEN has 30” Smooth Top Range, DD/FF Refrigerator, Space maker Microwave and Dishwasher. FEATURES/BENEFITS: AMPLE STORAGE Including BUILT-IN BUFFET, OH SLIDING WARDROBES w/Base Storage, Pantry Area and Built-in Linen. in BA and One-Piece Tub/Shower Combination w/Enclosure. Other Popular Features Include; 2' X 4' Construction, SHINGLED ROOF (WITH PROTECTIVE COATING), Ceiling Fans FRONT ALUMINUM WINDOW AWNING and Covered Carport. OTHER: FULLY FURNISHED: FULLY FURNISHED INCLUDING: Sofa, Easy Chairs, Double and Queen Beds, Dinette with Padded Chairs, Patio Furniture, Dishes, Silverware, Pots & Pans and Too Much More to List. Some Upgrades Required. Info provided upon request. 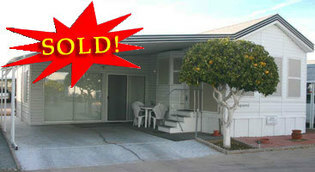 COMPLETELY FURNISHED & TURNKEY READY! INCLUDES SPACE RENT UNTIL JANUARY/2015! UPGRADES/OPTIONS: All Electric w/Central A/C and Heat (Vented in AZRM), “Invincible” Rubberized Roof ($5000 Value - New in 2003), Custom “Corian” Wrap Around Counter Tops in KIT/BA ($5000 Value), Reverse Osmosis Water System ($550 Value) Custom “Textile” Sunscreens T/O ($950 Value) Updated Contemporary Interior Paint, Light Oak Type Cabinetry, Faux Adjustable Blinds, Updated Lights & Fixtures. Professionally Built Arizona Room (Accessed Via Hall and Front Door) is Tape & Textured Walls with a Solar Panel Insulated Ceiling/Roof ($4500 Value), Laundry Room (Plumbed/Wired for Stack WD), Additional BA w/ Enclosed Shower, Electric Fireplace and Flat Screen TV! FEATURES/BENEFITS: Superior Construction and Craftsmanship: 2 X 4 Construction 16” on Center, Upgraded R11-R14-R33 Insulation, 3/8”, Vented Roof System, Vertical Lap Siding for Extra Insulation. Deluxe BA offers Skylight with Streaming Natural Light, Extended (Corian) Vanity, Base Drawers & Light Bar. KIT Offers 24” Deluxe Black Glass Electric Range, Newer GE Space maker Microwave ($600 Value), and 18” GE Dishwasher ($700 Value - New in 2005) Plus a DD/FF Refrigerator. 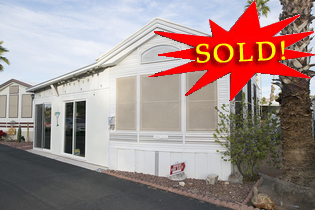 Tons of Storage Offered Throughout Including; Built-in China Hutch w/Glass Shelves and a Hall Pantry/Storage Cabinets. Bedroom has Mirrored Wardrobes w/Base Drawers Optional Rear Vanity Bay, OH Cabinets w/Reading Lights, (2) Windows and Wall Mount for Flat Screen TV. OTHER: Deluxe Furniture and Furnishings Include; Dual Reclining Loveseat, Sofa Sleeper with Pillow Top Mattress, Serta Queen BR Set, Drop Leaf Table and (4) Chairs, Recliner, (2) Flat Screen TV's, Glider & Footstool, Ottoman, End Tables, Lamps Flatware, Silverware, Deluxe Linens/Pillows, Wall Decor and Too Much More to List (Complete Inventory Upon Request). Transferrable Termite Warranty, Faces East for Morning Sun and even has a Juicy Orange Tree! UPGRADES/OPTIONS: ALL ELECTRIC AND FULLY FURNISHED PARK MODEL HOME has CENTRAL A/C & HEAT, SEPARATE LAUNDRY/UTILITY ROOM/GUEST AREA AND FACES EAST FOR MORNING SUN. Also Features a Front Sliding Glass Entry, Rear Hall Exit, Laminate in LR/Hall/BA, Large Patio/Carport, Rear Tool Shed and Shingled Roof with Protective Coating. FEATURES/BENEFITS: BA Features Corner Sink and Extended Vanity w/Base Drawers, One Piece Tub/Shower Combination, Natural Light Colored Cabinetry T/O, and Vaulted Ceiling. Popular Location Just One Street E. of the Community Center. Lots of Storage throughout Including China Hutch/Buffet w/Base and Feature Cabinets, Hall Coat/Pantry Closet, Built-in Linen in BA, Mirrored Wardrobes and Built-in Chest in BR. OTHER: Includes All Furniture Furnishings and Appliances Including DD/FF Fridge, 30” Electric Range, Full Size Washer and Dryer. Includes Rent Pd. Until October 24, 2015! SITE RENTAL FEE INCLUDED UNTIL 7/2015! UPGRADES AND OPTIONS: Updated Park Model has Newer Floor Covering, Newer Countertops, Shingled Roof, Mirrored Wardrobes, Cathedral Ceiling, All Electric w/Central A/C & Heat (Vented to AZ Room) and is in an excellent location on the outskirts of the Pet Area and Within Eye Shot of the Community Center! Fully Furnished Including Newer Name Brand (Maytag and Admiral WD 2010) Appliances and (Gerber-Kirby-Ashley) Furniture Including (2) Sofa Sleepers, Queen Bed, Easy Chairs, Dinette, Armoire TV Cabinet with TV, Silverware, Dishes, Linens Etc. and Nearly New Coordinated Heavy Duty Patio Furniture. Also Features Professionally Installed Deck w/ Iron Railing and Indoor/Outdoor, Vertical Corrugated Wood Cottage Interior Wall Panels and Wood Blinds (Arizona Room), Window Tint in Park Model, Newer Mostly Replaced Plumbing ($1100 Value) Newer Kitchen and BA Faucets. FEATURES/BENEFITS: This Beautiful Home offers the popular U-KIT Floor plan w/ Breakfast Bar, Front LR and DR Bay Windows, Skylight in KIT, Tub/Shower Combination, Double Mirrored Wardrobes w/Center Built-in Chest in BR, Pantry and Linen Storage, Lazy Susan and Built-in China Cabinet. Hall Exits to Arizona Room with Front Sliding Door Entrance to Arizona Room and Offers and Additional Exit to Rear Patio Area. Separate Laundry/Utility/Storage Area has Full Size Washer & Dryer Plus a Separate Water Heater. OTHER: White Washed Cabinetry Throughout, Extended Carport Uprights for Easy Parking and Professional Installed Color Concrete Coating Finishes the Exterior Look for Great Curb Appeal. Immediate Possession - Pets Okay! COMMUNITY: Beautiful, Age Qualified Resort Community in Mesa: Featuring, Three Community Center, Heated Pool, Hot Tub, Lighted Shuffleboard, Dancing, Billiards, Arts and Crafts, Kiln, Woodshop, Exercise Facility, and On-Site RV Storage. Groups Enjoy Bus Tours, Jam Sessions, Pancake Breakfasts, Coffee Hour and other Planned Activities. Conveniently Located on Apache Trail in Apache Junction, Arizona; Close to Wal-Mart, Restaurants, Golf, Hiking, Medical Facilities and More! UPGRADES AND OPTIONS: This Well Maintained Home is Light and Bright with Light Oak Type Raised Panel Cabinetry, Cathedral Ceiling, Feature Windows, Vertical Blinds and Wood Shutters and Ceiling Fans w/Lights. Also has Quality 2' X 6' Construction, H20 Water Concepts Water System ($4000 Value), NEW 30 YEAR DIMENSIONAL ASPHALT/FIBERGLASS SHINGLED ROOF STILL UNDER WARRANTY ($3000 VALUE), Name Brand Appliances (Frigidaire, GE, Maytag) DD/FF Refrigerator, Dishwasher (2014), Newer Disposal (2012), 30 GALLON “QUICK RECOVERY” WATER HEATER (2009) and Full Size Washer & Dryer. POPULAR FEATURES: Large Front LR, Eat-in Kitchen, Full 2nd BA (Tub/Shower Combination), Large Rear MBR and Generous MBA w/Extended Vanity, Walk-in Shower, Built-in Linen Cabinets, Side Windows w/Wood Shutters and Overhead Feature Window for Natural Streaming Light. Large Double-in Line Carport (Will Accommodate Truck), Matching and Connected Wired Workshop w/Drywall Interior Finish, Shelving and Workbench. Also has Full Length Covered Patio w/Additional Storage Shed. OTHER: Furnished Including (2) Twins, (2) Sofa Sleepers, Oak Dinette w/Leaf and Padded Chairs, Easy Chairs, Side Tables, Table and Floor Lamps, Wall Décor, Linens, Patio Furniture and More. Ready for Immediate Occupancy, Close to Community Center, Faces East for Morning Sun. This One is a Beauty! LAMINATE & BERBER FLOOR COVERING - CANADIAN CLEAN! UPGRADES/OPTIONS: This Updated ALL ELECTRIC Home Comes FULLY FURNISHED has CENTRAL A/C & HEAT, AND INCLUDES ALL APPLIANCES INCLUDING NEW SPACE MAKER MICROWAVE AND WHIRLPOOL FF/DD REFRIGERATOR (2011). Drywall Finished Utility Room/Workshop has Plenty of Room For Full Size Washer & Dryer and Rear Storage Unit Offers Additional Storage Plus a Workbench. Light and Bright w/Natural Warm Oak Type Cabinetry, this U-KITCHEN floor plan offers Overhead Cabinets, Corner Cabinet w/Lazy Susan and has Easy Access to Hall Pantry/Additional Wardrobe and DD/FF Fridge. FEATURES/BENEFITS: UPGRADED BERBER AND LAMINATE FLOORING, Other Features Include Corner Display Cabinet in LR, Upgraded Suns Screens, Mirrored Wardrobes, Extended Carport with Box Steel Awning Uprights, Carpeted and Railed Steps, OH Cabinets in KIT/BR, MIRRORED WARDROBES AND LARGE BA WITH EXTENDED CORNER SINK, BASE DRAWERS, BUILT-IN LINEN CABINET AND FULL SIZE TUB/SHOWER COMBINATION. OTHER: FULLY FURNISHED Including (2) EASY CHAIRS, DINETTE W/ (4) CHAIRS, TV, QUEEN BED, LINENS, POTS & PANS, PATIO TABLE & CHAIRS AND TOO MUCH MORE TO LIST. Also Offers Plentiful Grapefruit Tree in Front and Rear Blocked Sun Patio in Rear. Ready for Immediate Possession. COMMUNITY: White Sands Estates is a Lovely Gated Community Tucked Just on the Outskirts of Apache Junction, AZ. This Privately Owned Community is Very Friendly, Well Maintained and Offers a Nice Clubhouse with Lots of Activities, Special Events, Billiards, Exercise Facilities Plus a Heated Pool and Hot Tub. Just a Few Minutes Away from Major Grocery, Restaurants, Medical Facilities, Antique Stores, Wal-Mart and Too Much More to List! UPGRADES AND OPTIONS: This Spacious L-Kitchen Floor plan offers a Large LR, Upgraded KIT/BA with Custom Tile Edging, Full Tub/Shower Combination, 30” Electric Range and DD/FF Fridge. This Cute Home is All Electric with Central A/C & Heat, Connected Storage Shed, and Covered Carport & Patio. FEATURES/BENEFITS: Light and Bright Interior Walls, Front Windows and Window Awning. Fully Furnished w/Queen Bed, Sofa, Easy Chair, Dinette w/Two Chairs, TV and Much More. OTHER: Space Rent is only $275 p/mo if paid annually. Perimeter Location, Pets OK & Immediate Possession. Hurry! 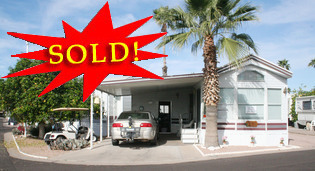 JUST REDUCED TO $10,000 - SELLER SAYS "SELL"
GIGANTIC CORNER LOT WITH MOUNTAIN VIEW! UPGRADES AND OPTIONS: Updated U-KIT Park Model is All Electric w/CENTRAL A/C & HEAT LOCATED ON HUGE CORNER LOT FACING EAST for Morning Sun. Light and Bright w/White Washed Cabinetry and Berber Carpet, Natural Light Streams in and Offers an Elegant Open Feel. Recent Upgrades Include NEW PLUMBING ($2200 VALUE), “INVINCIBLE” RUBBERIZED ROOF ($7000 VALUE), INSULATED WORKSHOP/LAUNDRY AREA OFFERS FULL SIZE “HE SENSOR” MATAG WASHER & DRYER ($3300 VALUE), GOLF CART ($3500 VALUE) & NEWER WATER HEATER (2011). POPULAR FEATURES: SUPER BAY DR/LR (EXTENDS FULL LENGTH OF DR & LR) PLUS THREE WINDOW FRONT BAY (Overhead Feature Window) Berber Carpet (Vinyl in Hall/KIT/BA), Decorative Cloth Window Treatments, BUILT-IN CHINA HUTCH, Recessed Indirect Lighting in KIT, 30” Range, Space Maker Microwave, HIS/HER MIRRORED WARDROBES (Pocket Door Entry to BR), Tub/Shower Combination w/Enclosure, Built-in Linen, Coat Closet, CEILING FANS THROUGHOUT & TOO MUCH MORE TO LIST! OTHER BENFITS: FULLY FURNISHED WITH EVERYTHING ANYONE WOULD NEED: Sofa Sleeper, Easy Chairs, Side Table, Lamps, Dinette w/Padded Chairs, Queen Bed, Linens, Silverware, Dishes, Pots & Pans and Much More (COMPLETE INVENTORY UPON REQUEST). GRAPEFRUIT TREE (Very Good Fruit). POSSESSION NEGOTIABLE, RENT INCLUDED UNTIL JANUARY 2015! SITE RENTAL FEE ONLY $340 P/MO (INCLUDES BASIC UTILITIES)! UPGRADES AND OPTIONS: This Spacious U-Kitchen Floor plan offers a Large LR, Upgraded KIT/BA, Full Tub/Shower Combination, 30” Electric Range, Space maker Microwave and Freezer Base Refrigerator. This Adorable Park Model Home is All Electric with Central A/C & Heat, Large Carpeted and Railed Deck plus a Wired Workshop with a Full Size Washer & Dryer. Lots of Storage Including BR Mirrored Wardrobes, Built-in Chest, Tri-Fold Medicine Cabinet in BA, Lazy Susan in KIT, Hall Wardrobe and Built-in Pantry/Linen Area. FEATURES/BENEFITS: Light and Bright Interior Walls, Fully Covered Carport with Privacy Panel, Ceiling Fans w/Lights, Three Picture Front Windows and Front Window Awning. Fully Furnished w/Queen Bed, Sofa Sleeper, Easy Chair, Dinette w/Two Chairs, Flat Screen TV and Much More! OTHER: Perimeter Location, Pets OK & Immediate Possession. Hurry! EAST FACING FOR MORNING SUN - IMMEDIATE POSSESSION! UPGRADES AND OPTIONS: Elegant and Custom Designed All Electric CHARIOT HOME is Fully Furnished and Ready for Immediate Occupancy. Stunning High Vaulted Ceilings, Overhead LR Feature Windows, Tape and Textured Walls w/Bull Nosed Corners, Skylights in KIT/BA and Four Bay Windows (LR/DR/KIT/BR). Wired Workshop offers Bench Overhead Lighting, Shelving & a Full Size Washer & Dryer. Also has Separate Custom/Matching Exterior Closet with Water Softener & Full Span Awning w/ Heavy Duty Boxed Steel Uprights. FEATURES AND BENEFITS: Lots of Storage Throughout Including Built-in China Hutch w/Glass Shelves, Rear Optional Built-in Bay Vanity, Matching Night Stands, OH BR Cabinets (and Reading Lights), Hall Pantry, Built-in Linen Cabinet in BA. Large BA Features Extended Vanity w/Base Drawers, Corner Sit-Down Garden Tub/Shower w/Enclosure. Includes All Name Brand Appliances; Premier Electric Range, Space maker Microwave, DD FF Refrigerator, Built-in Dishwasher and Full Size Washer & Dryer. OTHER: Central A/C & Heat, Copper and PVC Plumbing, Shingled Roof, Built-in Stereo with LR/BR Speakers, Deluxe Cloth Window Treatments, Ceiling Fans w/Lights and Space Saving Pocket Door Entry to BA/BR. Hall Exits to Covered Carport and Fifth Wall with Slider to Rear Blocked Patio. Fully Furnished with Sofa Sleeper, Easy Chairs, Dinette with (4) Deluxe Padded Chairs with Armrests, Queen Bed, Silverware, Dishes, Pots & Pans, Patio Furniture and Too Much More to List! UPGRADES/OPTIONS: This Updated ALL ELECTRIC Home Comes FULLY FURNISHED has CENTRAL A/C & HEAT, REVERSE OSMOSIS WATER SYSTEM and UPDATED APPLIANCES. Arizona Room has Slider/BR Entrance, Utility Room/Workshop, Additional Closet and Rear Exit to Sun Patio Area and Storage Shed. Light and Bright w/Natural Oak Type Cabinetry, this GALLEY KITCHEN floor plan Includes a 30” Electric Range, NEWER WHIRLPOOL DD/FF Refrigerator and NEWER Space maker Microwave. LR is Light & Bright w/Three Window Front Bay & DR Bay (Built-in Bench Seating). FEATURES/BENEFITS: AMPLE STORAGE Including Built-in China Hutch, OH Cabinets in KIT/BR, MIRRORED WARDROBES w/Base Storage, Pantry Area & Built-in Linen in BA and One-Piece Tub/Shower Combination w/Enclosure. Other Popular Features Include; 2' X 4' Construction, SHINGLED ROOF, CATHEDRAL CEILING, Ceiling Fans T/O, FRONT ALUMINUM WINDOW AWNING, Tinted Slider Entry, Up and Over Carpeted Steps and Front Band Unitizing. OTHER: FULLY FURNISHED Including LR/DR/AZRM Furniture (Dinette & Chairs, (2) Sofa Sleeper(s), Recliners, Queen Bed, TV (Built-in DVD Player), Furnishings, Portable Heater and A/C w/Air Cleaner for Arizona Room. CORNER LOT WITH MOUNTAIN VIEW - PETS OK! UPGRADES/OPTIONS: This Updated CAVCO PARK MODEL WITH LARGE ARIZONA ROOM Rests on Large Corner Lot with Double Cemented Carports, Raised White Railed Deck w/Base Storage, 2nd ½ BA, Wired Utility Room & a Stacked Washer/Dryer. Also has Updated Carpet in LR & Arizona Room, Vinyl in High Traffic Areas, Remodeled Bath w/White Cabinet Vanity, Vinyl Floor Covering & and One Piece Tub/Shower Combination w/Enclosure. 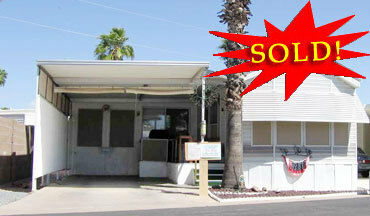 Home is Located on Large Corner Lot w/Aluminum Window Awnings, Deluxe Sunscreens and Drop Panel Ceiling in Arizona Room. 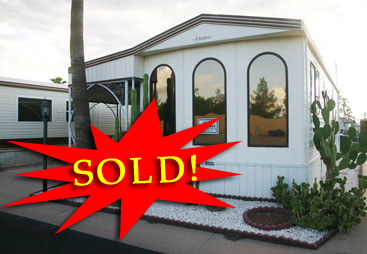 Arizona Room has Front Slider Entrance, Accessed from BR and Rear Exit to Blocked Patio. FEATURES/BENEFITS: POPULAR U-SHAPED KITCHEN has 30” Gas Range, Space maker Microwave, DD/FF Fridge and Ceramic Double Sink w/Newer SL Faucet. Lots of Storage Including Hall Closet and Pantry, Medicine and Toiletry Cabinets in BA, plus Mirrored Wardrobes w/Base Storage Drawers, OH BR Cabinets, and a Built-in Vanity w/ OH Cabinets and Shelving in BR. Comes Mostly Furnished with Enough to Get Started Including Comfy Sectional, Dinette w/Padded Chairs, Easy Chairs, Double & Twin Beds, Dishes, Silverware & Other Miscellaneous Items. OTHER: AMAZING CORNER LOT WITH ADDITIONAL PARKING/PATIO, Drop Panel Ceiling in Arizona Room, Juicy Orange Tree, Pets OK and Rent Included Until March 1, 2015! Community Amenities / Facilities: Located in the Heart of Active Retirement Resort Communities in East Mesa, AZ, the VAL VISTA VILLAGE RV RESORT. Activities staff schedules entertainment of stage shows, Dinner Theaters and Dances, and Planned Group Activities Including: Arts & Crafts, Hiking Club, Pickle ball Courts, Pottery/Ceramics, Quilting & Sewing Room, Scrapbooking, Shuffleboard Courts, Softball Swimming Pools (Indoor and Outdoor) & Hot Tubs, Tennis Courts, Themed Events, Vendor Market Day & Wood Shop. This Popular Retirement Community is Close to Dozens of Restaurants, Shopping Golf, Medical Facilities and All Major Freeways. UPGRADES AND OPTIONS: All Electric w/Central A/C & Heat, Alley Galley-Kitchen Floor plan offers 13' LR w/DR and Four Window Front Bay Windows, Central BA and Hall Exit to Raised Arizona Room w/2nd ¾ BA (Vented w/AC & Heat), Enclosed 6' X 10' Workshop and Front Deck. “Cavco” Features Quality 2' X 4' with 16” Centers, Upgraded Fiberglass Insulation, Sheetrock & Vinyl Covered Interior Walls, Melamine Lined Drawers with Steel Guides, Tape & Textured Cathedral Ceiling, Factory Tinted Windows, Asphalt Fiberglass Shingled Roof, Natural Oak Color Raised Panel Throughout and Space Saving Pocket Door Entries to BA/BR. POPULAR FEATURES: Lots Of Storage Including BR Mirrored Wardrobes, Built-in Vanity (Nine Base Drawers), Double Overhead Cabinets, Built-in Linen Cabinets in BA and China Hutch/Pantry Area. Also Features Upgraded Laminate and Tile Floor Covering in LR/KIT/BA/AZ RM, Spot Lighting in Kitchen, Corner “Sit Down” Garden Tub/Shower Combination w/Enclosure and Safety Grab Bars in BA, Updated Cloth Draw String Window Coverings in LR, Deep Ceramic Sink w/SL Faucet/Sprayer in KIT, Formica Counter Tops w/Custom Detail China Painted Ceramic Tile Backsplash, Garden Window and Spot Lighting in KIT. Raised Arizona Room Includes 2nd ¾ BA w/Custom Tiled Shower (Safety Grab Bars), Easy Access Swing Down Ironing Board, Built-in Storage, Plumbed and Wired for Full Size Washer & Dryer. OTHER: Includes Name Brand Appliances; Newer Kenmore Glass Cook Top, Oven, Space maker Microwave & GE DD/FF Refrigerator. LR Offers Built-in Entertainment Center (will Accommodate 32” Flat Screen TV), Ceiling Speakers in LR/BR, Wood Cornices (Finished on top) and 6ft Sliding Glass Door from Deck/Entry. 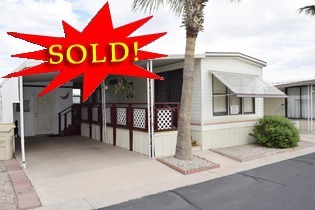 Ceiling Fans w/Lights, Front Window Awning, Sunscreens, Plus an Additional Rear Exit from Arizona Room. Easy Upkeep Landscaping and Close to Clubhouse! UPGRADES AND OPTIONS: Newly Remodeled and Upgraded Galley Kitchen 1993 Skyline is All Electric w/Central A/C and Heat w/Large Deck, Extended Driveway and Workshop! This Gorgeous Home Comes Fully Furnished and Offers Many Popular Upgrades Including Custom Tile Floor and Counters, Custom Tile Shower, Mirrored Wardrobes, Wrap Around China Hutch, Pocket Door Entries to BR/BA, BR Vanity, Reading Lights, Front Bay Windows, Wood Cornices w/OH Pentazoid Window, White Oak Type Cabinetry, BA Vanity w/Base Drawers, Built-in Linen and Massive Wired Workshop w/Bench and Shelving. POPULAR FEATURES: Quality Construction, Shingled Roof, New Hot Water Heater and Fully Furnished w/Everything Anyone Could Need Including a Flat Screen TV! Close to Clubhouse and Easy Upkeep Landscaping, Faces East for Morning Sun! UPGRADES/OPTIONS: Light and Bright Home is All Electric w/Central A/C & Heat, FULLY FURNISHED and is ready for Immediate Possession. Popular U-KITCHEN Floor plan offers Spacious LR, DR BAY WITH BENCH SEATING, (3) FRONT BAY WINDOWS, SLIDER ENTRY & HALL EXIT TO LARGE PATIO/CARPORT WITH MATCHING AND CONNECTED UTILITY ROOM/WORKSHOP WITH FULL SIZE MAYTAG WASHER & DRYER. Recent Upgrades Include Updated Roof Coating, New Indoor/Outdoor Carpet, Upgraded Carpet & Pad (Linoleum in KIT/BA), Newer Hot Water Heater, WHOLE HOUSE WATER FILTRATION SYSTEM, and Newer Stove & Refrigerator. FEATURES/BENEFITS: LIGHT OAK TYPE CABINETRY THROUGHOUT, Subtle Print Pre-Papered Interior Walls, Space maker Microwave, Built-in Linen/Pantry plus MIRRORED WARDROBES w/Base Drawers, OH Cabinets and BUILT-IN (6) DRAWER VANITY in BR. Center BA has a Tub/Shower Combination & Built-in Linen Cabinet. Comes FULLY FURNISHED Including; Queen Bed, Dinette & Chairs, Easy Chairs, Side Tables, Lamps, Silverware, Linens and Too Much More to List. SITE RENTAL FEE PAID UNTIL OCT/2014. OTHER: SOUTHERN EXPOSURE FOR LOTS OF NATURAL LIGHT, CATHEDRAL CEILING, CEILING FANS, REAR BLOCKED PATIO, PATIO SUN SCREENS, Fifth Wall Breezeway, Extended Boxed Steel Uprights, Front Window Awning and Full Front Unitizing. AVAILABLE FOR IMMEDIATE POSSESSION. UPGRADES AND OPTIONS: This Upgraded CAV CO Park Model is All Electric w/Central A/C & Heat, Cathedral Ceiling, Shingled Roof, Light Oak Cabinetry w/Real Oak Cabinet Fronts, Tub/Shower Combination in BA, Mirrored Wardrobes, Recessed Indirect Lighting, Wood Cornices & Faces East w/an Amazing Mountain View on Large Corner Lot. Rear Exits from Hall to 16' X 20' Raised Arizona Room (Central A/C & Heat Vents), Tape & Textured Walls and Front Carport Slider Door Entry & Rear Exit to Storage Shed. Also Features Three Large Front Windows, Dining Bay, Hall Pantry and Built-in Toiletry Cabinet in BA. FEATURES AND BENEFITS: Mirrored Wardrobes, Overhead Cabinets and Vanity in BR, Ceiling Fans T/O, Cathedral Ceilings and Spacious LR. Comes Fully Furnished Including (2) Sofa Sleeper, Easy Chairs, End Tables, Dinette w/Chairs, Queen Bed, All Appliances; Including FF Fridge, Stove, Space maker Microwave, Full Size Washer & Dryer Plus an extra Fridge in Arizona Room and Too Much More to List (Inventory Upon Request) Available for a Quick Move-in! OTHER: Rent Paid Until June/2014 (Included in Price). UPGRADES/OPTIONS: This Immaculate Updated ALL ELECTRIC Home Comes FULLY FURNISHED has CENTRAL A/C & HEAT and unfinished Arizona Room w/Laundry Area and FULL SIZE WASHER & DRYER. Light and Bright w/Updated Interior Walls, this OPEN L-KITCHEN floor plan Includes a 30” Electric Range, FRIGIDAIRE Refrigerator (Only 5 years old) and WHIRLPOOL Space maker Microwave, FOUR WINDOW DR BAY w/Dinette and Spacious Front LR w/Sofa Sleeper, Easy Chair, Side Table and Floor Lamp. FEATURES/BENEFITS: Southern Exposure offers Morning Sun on Deck (Base Storage) and Carport w/HEAVY DUTY AWNING SUPPORTS AND ALUMINUM PRIVACY PANELS. Offers Lots of Storage Including Hall Closet & Pantry, MIRRORED WARDROBE, Overhead Cabinets, Base Drawers, Queen Size LIFT AND STORAGE BED and Built-in Chest in BR. BA has Full Size Tub/Shower Combination and One Piece Simulated Marble Lavvy. OTHER: FULLY FURNISHED Including LR/DR Furniture, Silverware, Dishes, Pots & Pans, Etc. Has Ceiling Fans in LR/BR, Verticals Over Slider and Neutral Sculptured Carpet and Vinyl T/O. LOTS OF UPDATES - CLOSE TO CLUBHOUSE! UPGRADES AND OPTIONS: Fully Furnished U-Kitchen w/Walk Through BA (Remodeled w/Stand up Shower) is All Electric w/Central A/C & Heat and Offers Many Upgrades and Features Including Laminate Flooring T/O, New Oak Kitchen Cabinetry, Cathedral Ceilings w/OH Feature Lighting and Lots Of Storage Including Built-in Lighted Pantry and Linen Closets, Mirrored Sliding Wardrobes in BR, Overhead Storage Cabinets and a Storage Shed w/All in One Washer & Dryer. POPULAR FEATURES: Other Upgrades/Options Include Vinyl Siding, Large Carport w/Privacy Sun Shades, Ceiling Fans, Newer Plumbing & Hot Water Heater, Newer Furniture, Smooth Top Range, Space Maker Microwave, FF/CC Refrigerator, Washer/Dryer (All in One), Up and Over Carpeted and Railed Steps, Recent Roof Maintenance and Utility/Laundry Room w/Storage. OTHER: Fully Furnished Including; Double Bed, Easy Chair, Dinette w/ (2) Chairs, Lamps, Linens, Coffee Maker, Silverware, Dishes, Pots & Pans and has a Like New Leather Type Queen Size Sofa Sleeper. Home Faces West and is Located Only Three Streets from the Community Center. Rent Included until November, 2014! PERIMETER LOCATION - PETS OKAY - TOP OF THE LINE! UPGRADES AND OPTIONS: Canadians Must Sell Gorgeous 2000 CAVCO Park Model w/18' X 18' Ground set Arizona Room and Patio Deck in Pet Section! East Facing w/Gorgeous Mountain View and Morning Sun, this Immaculate Home has Cathedral Ceiling, Shingled Roof, Tape & Textured Walls, Wrap Around China Hutch, Light Oak Cabinetry, Double Mirrored Wardrobes, Overhead Cabinets and Built-in Chest in BR. Includes all Name Brand (Frigidaire/Amana) Appliances Including; Glass Top Range, DD/FF Refrigerator, Space maker Microwave, Dishwasher and Full Size Washer & Dryer in Separate Laundry Area. POPULAR FEATURES: “Galley” Kitchen Floor plan has Convenient Hall Exit to Arizona Room (Vented w/Heat & AC), Three Large Front Mountain Facing Windows, Light Oak Type Raised Cabinetry, Ceiling Fans T/O, Front Slider Entrance from Deck, Wood Cornices w/Fabric Inlay, Half Moon Feature Window, Indirect Fluorescent Lighting & Skylight in BA. OTHER: Fully Furnished w/Sofa Sleeper, Easy Chairs, Dinette, Sofa Sleeper, Silverware, Dishes, Pots & Pans, (3) TV's (Including Flat Screen in AZ RM) and even Includes a Queen Size Adjustable Massage/Vibrating Bed! Available for Immediate Possession, Includes Rent PD until 08/2014. IMMEDIATE MOVE-IN AND PETS OK! UPGRADES/OPTIONS: Immaculate Updated Home Comes FULLY FURNISHED and is ready for Quick Possession. This Beauty is ALL ELECTRIC w/CENTRAL A/C & HEAT, SLIDER ENTRY/REAR BR EXIT TO LARGE DECK/CARPORT. Recent Improvements Include NEWER TRANE HIGH EFFECIENCY HEAT PUMP, Large Finished Workshop/Laundry Room (Has Subfloor/ Wall A/C Unit & Includes Full Size Washer & Dryer) Plus a RAILED 8' X 27' DECK WITH INDOOR/OUTDOOR CARPET. Home has Natural Oak Type Cabinetry, Berber Carpet and Linoleum T/O, Light and Bright Interior Paint, NEWER S/L KIT Faucet (Plus Pull-Out Sprayer), NEWER BA Faucet, GE SPACEMAKER MICROWAVE, FF/DD REFRIGERATOR AND A 24” SMOOTH TOP RANGE. FEATURES/BENEFITS: Popular L-Kitchen Offers Large, Open LR, Formal Dining Room w/Oak Drop Leaf Table and Matching Chairs, China Hutch w/Glass Shelves, Recessed Fluorescent Lighting in KIT, and Tons of Natural Light (Faces East) Mirrored Wardrobes w/Base Drawers, Built-in OH Cabinets, Hall Pantry and Additional Closet w/Sliding Doors, Built-in Linen in BA w/Walk-in Shower, Safety Grab Bar, Make-up Lights, High Rise Commode and Built-in Base Drawers in Lavvy. OTHER: Cathedral Ceiling, Three Window Front Bay w/Contemporary Window Covering, Front Faux Wood Blinds, Sunscreens, Easy Upkeep Landscaping, Ceiling Fans T/O, Verticals Over Slider, Comes Completely Furnished w/Double Sofa Sleeper, Queen Bed, Easy Chair, Coffee Table, Linens, Flat Screen TV and Too Much More to List. PETS OK AND IMMEDIATE POSSESSION! (Includes space rent paid until July/2014). THOUSANDS OF DOLLARS IN UPGRADES! UPGRADES/OPTIONS: Immaculate Updated Home Comes FULLY FURNISHED and is ready for Quick Possession. This Beauty is ALL ELECTRIC w/CENTRAL A/C & HEAT, SLIDER ENTRY/HALL EXIT and Offers a Composite Shingle Roof. Recent Improvements Include NEW MAYTAG HIGH EFFECIENCY ECONOSERVE SENSOR WASHER & DRYER in Large Workshop/Laundry Room, NEW INDOOR/OUTDOOR CARPET AND 6' X 20' DECK (Railed w/Base Storage Drawers), Laminate Flooring, Tape & Textures Feature Walls w/Updated Paint, NEW KIT Faucet (Single Lever Pull-Out Sprayer), NEW BA Faucet, Newer TAPPAN SPACEMAKER MICROWAVE, GE FF/DD REFRIGERATOR, 30” MAGIC CHEF RANGE & A NEWER HOT WATER HEATER (Only Four Years Old). FEATURES/BENEFITS: Popular L-Kitchen Offers Large, Open LR, Formal Dining Room w/Dining Bay Bench Seating, and Tons of Natural Light (Southern Exposure) This Home Offers Amazing Outdoor Entertaining Possibilities w/Private Covered Patio, Rear Blocked Patio, Large Deck and has Ample Space for Crafts or Hobbies in a Plumbed and Wired Shed w/Shelving and Workbench Area. Ample Storage Inside Includes BR OH Cabinets, Mirrored Wardrobes w/Base Drawers, Built-in Six Drawer Vanity, Hall Pantry and Built-in Linen in BA w/Tub & Shower Combination. OTHER: Cathedral Ceiling, Easy Upkeep Landscaping, Ceiling Fans T/O, Verticals Over Slider, Simulated Marble in BA and Comes Completely Equipped w/Furniture Including Flat Screen TV's, Dinette, Sofa, Queen Bed, Patio Furniture, BBQ, Silverware, Linens and Too Much More to List (Inventory & Seller Questionnaire Upon Request). PRICE REDUCED - ONLY $7900! FEATURES/UPGRADES: IMMEDIATE POSSESSION of Remodeled and Updated Fully Furnished 1983 AMERICAN MOBILE PARK MODEL is Close to Clubhouse and Faces East for Morning Sun. Open L-Kitchen Floor plan has Tons of Storage Including Pull-Out Pantry Cabinets, Lighted Interior Laundry Room (Wired/Plumbed), Mirrored Wardrobes, Sit Down Vanity, Tub/Shower Combination w/Enclosure, Vent Fan Separate from OH Light Switch, Toiletry Cabinet and Overhead Storage Cabinets. Other Upgrades Include New Interior Paint, Recent Roof Coat, Laminate Floor Covering, All Electric w/Central A/C and Heat, Storage/Utility Room, Gigantic Carpeted and Railed Deck. POPULAR BENEFITS: Fully Furnished Including New FRIGIDAIRE Refrigerator (2011), Heavy Duty GE Space maker Microwave, Electric Range, VIZIO Flat Screen TV, Oak Dinette (Has Leaf) w/Padded Chairs & Armrests on Rollers, Queen Size Sofa Sleeper w/INNERSPRING Mattress, 5' X 8” Oriental Area Rug, Easy Chairs, Side Table, Lamps, Silverware, Baking and Cooking Tools, Linens and Too Much More to List. OTHER: Real Oak Cabinetry Throughout, Simulated Marble Lavvy, Tri-Fold Medicine Cabinet w/Make-up Lights, Built-in Toiletry Cabinet, Newer JACUZZI Commode & Contemporary Paint in BA. Light and Bright w/Decorator Interior Faux Feature Wall in KIT, Deluxe Cut Glass Chandelier(s) w/Dimmer Switches, Wired For Stereo w/LR & BR OH Speakers and a Stocked Storage Shed (Miscellaneous tools, Golf Clubs, Etc.)! SUPERSTITION SUNRISE RV RESORT IN APACHE JUNCTION, AZ! FEATURES/UPGRADES: Close to Clubhouse, Faces South, L-Kitchen Floor plan Offers Large/LR/DR Area. This One has Lots of Storage Including Hall Pantry and Closet, Sliding Wardrobe Doors w/Base Drawers and Built-in Vanity in BR. Matching and Connected Shed is Wired for Electric. Also has Large Front Windows, Vaulted Ceiling, Tub/Shower Combination in BA, and Wood Cornices in LR. OTHER BENEFITS: Home offers Newer Central A/C Unit, Includes Stove, Refrigerator and Seller will reduce price for a floor covering credit. 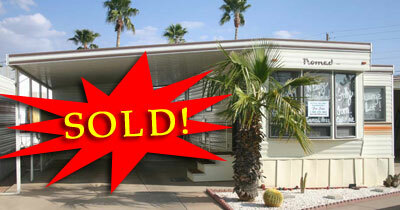 MORE: Lot Also Offers Large Covered Carport and Cement Patio w/ Plenty of Room in the Back for a Blocked Sun Patio. Faces South with Sunscreens! QUICK MOVE-IN/EASY UPKEEP-LUSH LANDSCAPING/PETS OKAY! COMMUNITY AMENITIES/FACILITIES: Located in the Heart of Active Retirement Resort Communities in East Mesa, AZ, the VAL VISTA VILLAGE RV RESORT. Activities staff schedules entertainment of stage shows, Dinner Theaters and Dances, and Planned Group Activities Including: Arts & Crafts, Hiking Club, Pickle ball Courts, Pottery/Ceramics, Quilting & Sewing Room, Scrapbooking, Shuffleboard Courts, Softball Swimming Pools (Indoor and Outdoor) & Hot Tubs, Tennis Courts, Themed Events, Vendor Market Day & Wood Shop. This Popular Retirement Community is Close to Dozens of Restaurants, Shopping Golf, Medical Facilities and All Major Freeways. FEATURES AND BENEFITS: This Immaculate and Well Maintained Home is all Electric w/3 Ton 13 Seer Central A/C and Heat (NEWER/2010 - $3200 VALUE) and Ready for Quick Possession. This Light and Bright Dollhouse Comes Mostly Furnished Including Sofa & Loveseat, DR Table and Chairs, TV, Furnishings and Appliances Including DD FF Refrigerator, 30” Deluxe Black Glass Range, Space maker Microwave & Full Size Stacked Washer/Dryer. 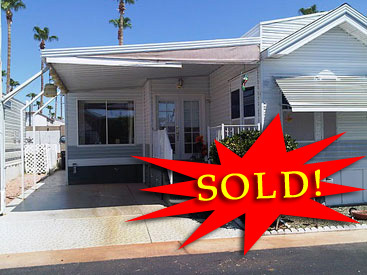 Open L-Kitchen floor Offers a Spacious Open Dining Room/Sitting Area and Extends to Outside 8' X 17' Carpeted & Railed Deck w/Access to Arizona Room (Entrance from Home and Carport Patio) and Offers an 8' X 10' Storage Room. UPGRADES/OPTIONS: Raised Light Oak Type Panel Cabinetry, Ceiling Fans Throughout, Lots of Storage Including Hall/BA Pantry & Linen + Mirrored Wardrobe Closets & Overhead Cabinets w/Reading Lights in BR, & Toiletry Cabinet in BA (Tub/Shower Combination). OTHER: Home has Deluxe Front Window Awning ($650 Value), Lace Curtains, and Venetian Blinds plus a Well Maintained Roof (Last Coated 2010). COMMUNITY AMENITIES/FACILITIES: Located in the Heart of Active Retirement Resort Communities in East Mesa, AZ, the Towerpoint RV Resort Offers a Mecca of Amenities and Activities Including; Silversmithing, Woodworking (Woodshop), Cards, Games, Biking, Hiking, Parties, Concerts, Crafts (Pottery, Stained Glass, Sewing/Quilting, Jewelry Making, Scrapbooking, Etc. ), Lighted Bocce and Pickle Ball Courts, Softball Teams, Shuffleboard, Tennis, Dancing (Square and Round), Billiards AND SO MUCH MORE! FEATURES AND BENEFITS: This Well Kept Home is all Electric w/Central A/C and Heat, Newer Carpet, Tons of Storage and Large Arizona Room. Open L-Kitchen floor plan offers a Spacious Open Living and Dining Room and Faces East with Large Front Windows for Lots of Natural Light. Other Features Include Large Center Pantry & Linen Closets/Cabinets, Inside Washer & Dryer Hookup, His/Her Sliding Mirrored Wardrobe Closet, Sit Down Vanity, Overhead Storage Cabinets and Rear Exit to AZ Room. Bathroom has Simulated Marble Sink, Tri-fold Medicine Cabinet, Built-in Toiletry Cabinet and Tub/Shower Combination w/Safety Grab Bar. 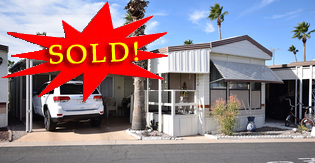 UPGRADES AND OPTIONS: 15' X 16' Arizona Room w/Evaporative Cooler, Ceiling Fans Throughout, Walk-in Closet, 17' Wide Driveway w/Indoor/Outdoor Carpet Plus a Separate Workshop w/Built-in Shelves & Wired for Electric. Recent Upgrades New Refrigerator (2013), New Garbage Disposal (2011), 30” and also has Electric Range and Space maker Microwave. MORE: Fully Furnished Including Newer Deluxe Dinette Set, (2) Sofa Sleepers, Twin Beds, Side Tables, Lamps, Corel Flatware, Silverware, Linens and Too Much More to List. FULLY FURNISHED/FACES EAST FOR MORNING SUN/PETS OKAY! 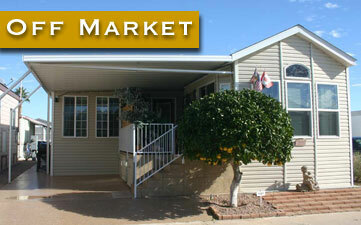 COMMUNITY: Panoramic Views of the Superstition Mountains, Large Heated Pool/Hot Tub, Shuffleboard, Multi-Function Rec. Facility (Clubhouse), Within Walking Distance to Shopping, Restaurants, Medical Facilities and More! FEATURES AND UPGRADES: Eat-in Kitchen w/Table and Chairs, Newer 30” Stove, Newer DD/FF Fridge, New Hot Water Heater, New Sink, New Toilet, New Subfloor and Floor Covering, New Carpet, Newer A/C BR, A/C LR (Window-Works Great), New Lattice (Carport), New Vertical Blinds on Front Sliding Glass Door and Recently Resealed Roof! Fully Furnished Including Queen Bed, Sofa Sleeper, Easy Chair, Side Tables, Some Furnishings, Etc. (Inventory Upon Request). OTHER BENEFITS: Tub/Shower Combination, Convenient Center Kitchen w/Lots of Cabinetry, Walk-Through BA w/Updated Paint and Fixtures. In 2nd BA w/Built-in Linen. Lots of Storage Including Large MBR Mirrored Wardrobe Closet, Pantry, and Workshop (Wired for Electric), Upgraded Electric Pedestal. Low Maintenance Siding w/ Repainted Banding, Large East Facing Lot ! PLUS: For Sale by Owner! 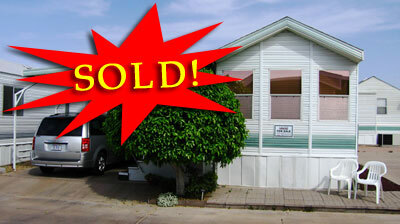 Call (480) 577-5257 or (480) 862-3064 to leave a message. CLICK HERE TO EMAIL THE SELLER NOW! TOP OF THE LINE FUQUA PARK MODEL IN THE TOWERPOINT RESORT FACES EAST ON HUGE LOT (COVERED CARPORT PLUS A SEPARATE COVERED PATIO) PERFECT FOR FUTURE ARIZONA ROOM. COMMUNITY AMENITIES/FACILITIES: Located in the Heart of Active Retirement Resort Communities in East Mesa, AZ, the Towerpoint Resort Offers a Mecca of Amenities and Activities Including; Silversmithing, Woodworking (Woodshop), Cards, Games, Biking, Hiking, Parties, Concerts, Crafts (Pottery, Stained Glass, Sewing/Quilting, Jewelry Making, Scrapbooking, Etc. ), Lighted Bocce and Pickle Ball Courts, Softball Teams, Shuffleboard, Tennis, Dancing (Square and Round), Billiards and Too Much More to List. This Friendly and Affordable Luxurious Community also offers Chapel Services, Bible Studies and a Cutting-edge Computer Lab, High-Speed Internet Access, (2) Large Therapy Pools, Plus a Contemporary Fitness Center. Located within Minutes of Award Winning Golf Courses, Restaurants, Lakes/Recreation Areas, and Hospitals & Medical Facilities. Easy Access to Major Freeways and Airports. UPGRADES AND OPTIONS: Fully Furnished & All Electric w/Central A/C & Heat (Newer Huge HVAC Unit) is Located on One of the Largest East Facing Lots in the Entire Community and Offers Both a Covered Carport on S. Side and Huge Covered Patio on N. Side of Park Model. This Deluxe Fuqua Park Model Offers Many Contemporary Features and Upgrades Including New Linoleum Throughout, Raised Light Oak Cabinetry, Tape and Textured Walls (LR), (Newer) Two Toned Paint and a Galley-Style Kitchen w/Tons of Storage Including Lots of Drawers and a Built-in Lighted China Hutch w/Glass Shelves and Overhead Feature Mirror in DR.
POPULAR FEATURES: Cathedral Ceilings w/Dramatic Side Raised Clerestory Feature Windows, Four Window Front Bay w/OH Pentazoid Window, Mirrored Wardrobes I, Built-in Chest, OH Cabinets and Two Windows Plus Rear Exit in BR. Front Slider Entry/Exit (LR to Covered Carport) and DR Entry/Exit to Private Covered Patio and Golf Cart Garage (Storage Area). Also Features Recessed Fluorescent Lighting in KIT, Skylight, Corner Sink and Shower in BA w/Brass Type Accent and Lots of Linen/Toiletry Drawers and Cabinets, and Tile Accent Edging on Formica Counters Throughout. OTHER BENEFITS: Pets OKAY, Fully Furnished Including DD/FF Fridge, Space maker Microwave, 24' Electric Range, Sofa Sleeper, Queen Bed, Side Tables, Contemporary Glass Dinette and (2) Chairs, Easy Chair & Ottoman, Silverware, Dishes, Linens and Too Much More to List. Faces East on Huge Private Perimeter Lot, Vacant and Ready for Immediate Possession & Pets Okay! BEAUTIFUL ROCK SHADOWS RV RESORT! FEATURES AND BENEFITS: This Immaculate Home is fully furnished and ready for Immediate Possession! This Cute Little Dollhouse Offers a Popular Open L-Kitchen, Center BA w/Tub/Shower Combination, Medium Oak Type Cabinetry, Spot Lighting, NEW Neutral Carpet and Linoleum Throughout, Hall Storage and Sliding Wardrobe Closet, Vanity Storage and Rear Exit in Bedroom. Large Covered Carport and Patio with Ample Space for Deck, AZ Room and/or Outside Entertaining. UPGRADES AND OPTIONS: Newly Tinted Front Windows ($400 Value), Recent Roof Recoat ($400 Value), New Carpet ($500 Value), In-Line Water Filter ($300 Value). Furnished Including; Easy Chairs, Deluxe Dinette w/ (4) Upgraded/Padded Chairs, Efficient Window A/C, Gas Furnace, Gas Stove, DD FF Fridge and Electric HWH. ALSO OFFERS: Dishes, Silverware and Linens for a Queen Size Bed. Close to Clubhouse. (Pre-paid Rent Until March 1, 2014 Negotiable). FEATURES/UPGRADES: This Super Clean Home Comes Fully Furnished w/Sofa Sleeper, Easy Chair, Dinette, Queen Bed and Furnishings Including Silverware, Dishes, Pots and Pans, Linens and too much more to list! Popular Features Include Large LR and Popular U-Kitchen, Updated Name Brand Appliances, (Range, Fridge, Space maker Microwave, WD), Lots of Storage Lots of Kitchen Cabinets, Hall Linen/Pantry, BA Cabinets and Built-in Chest & Mirrored Wardrobes in BR. BENEFITS: Large 8' X 20' Deck, Laundry Room with 3 Yr. Old Kenmore Heavy Duty 80 Series Full Size Washer, Additional Storage Unit/Workshop, Quality Construction, Rubberized Roof, Reverse Osmosis & Tinted Windows. OTHER BENEFITS: Fully Furnished Including Queen Size Sofa Sleeper, Queen Bed (3 Years Old), Lazy Boy Rocker/Recliner, Dinette w/(4) Deluxe Chairs, 2 TV's (Including Flat Screen), Dishes, Silverware, Linens and More!